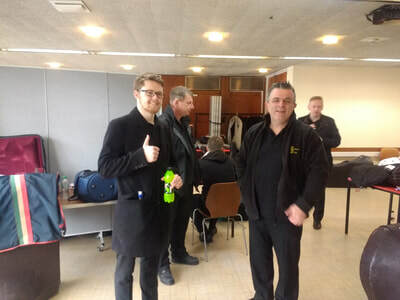 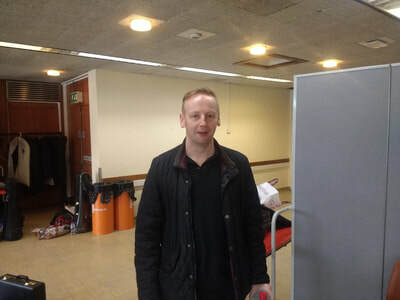 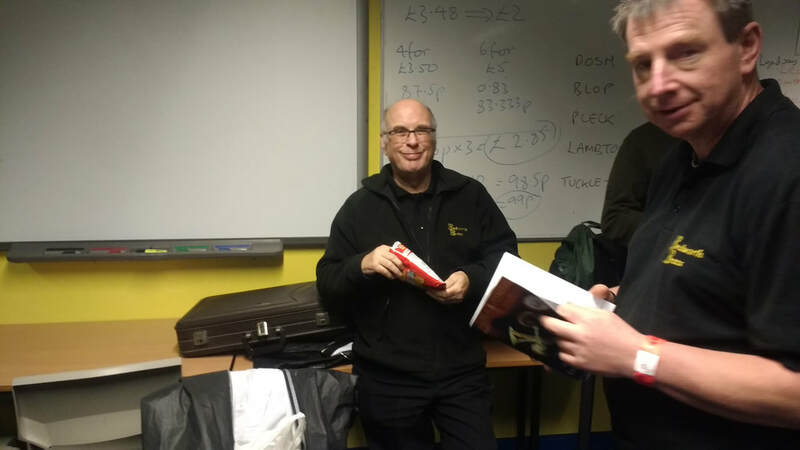 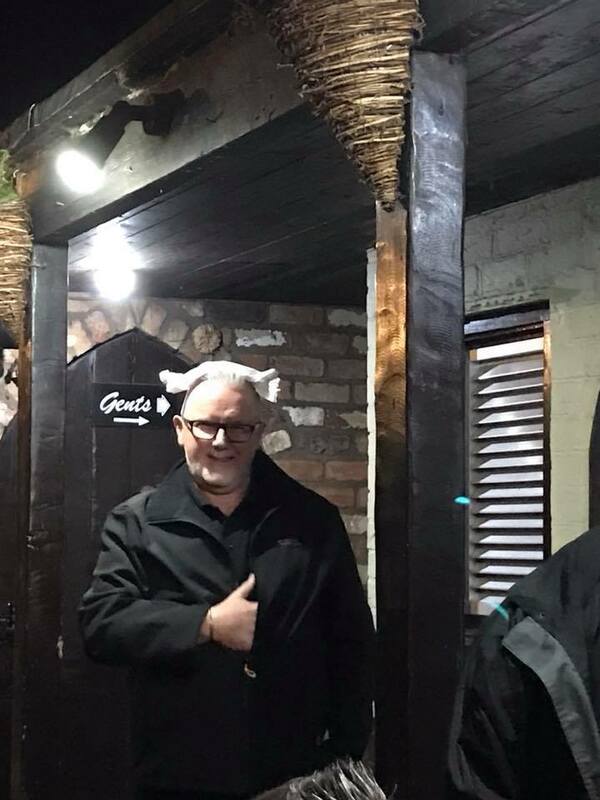 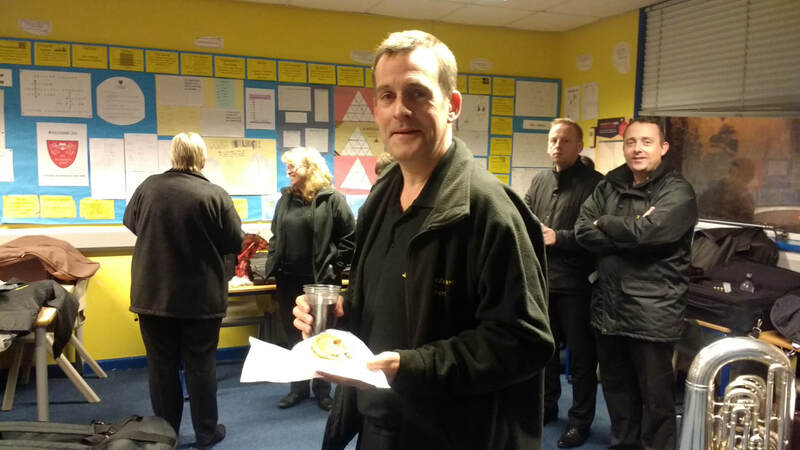 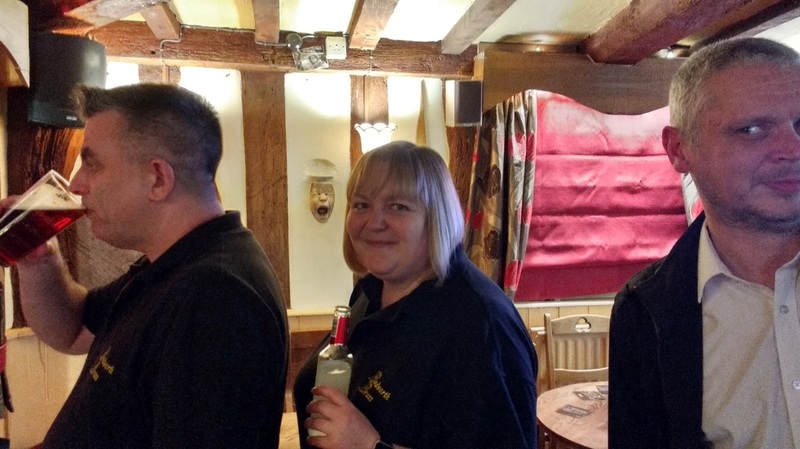 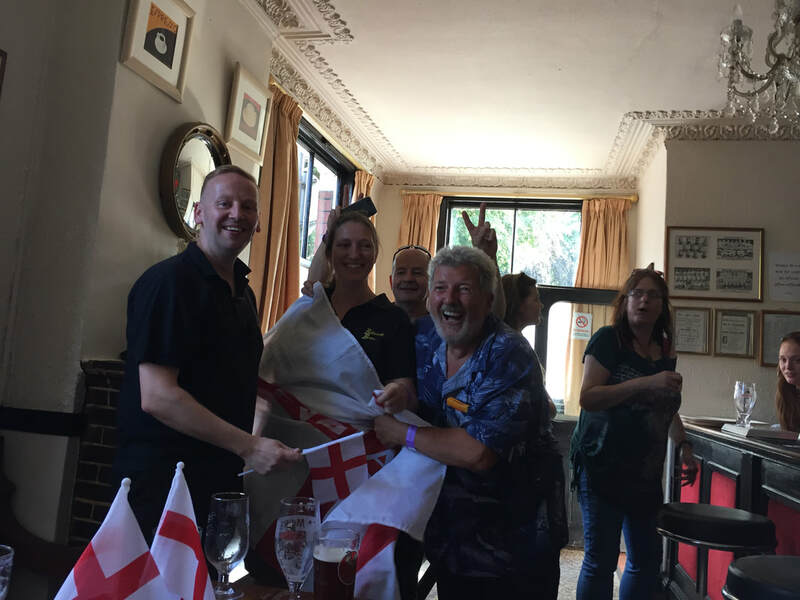 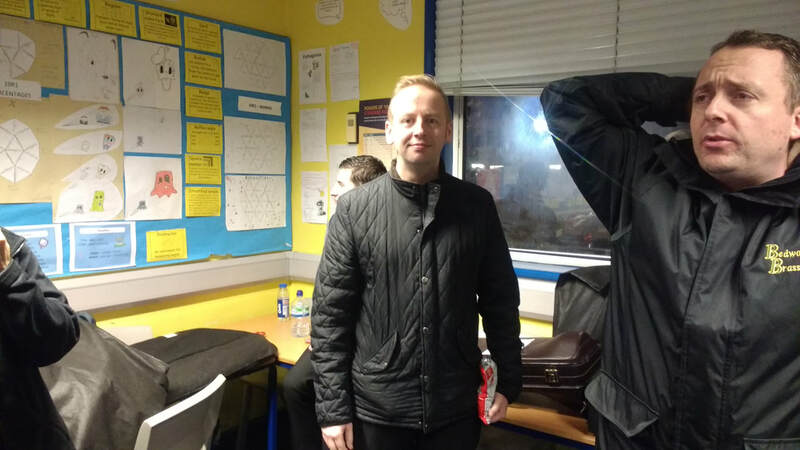 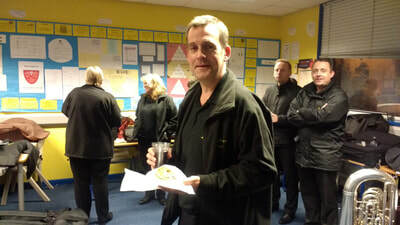 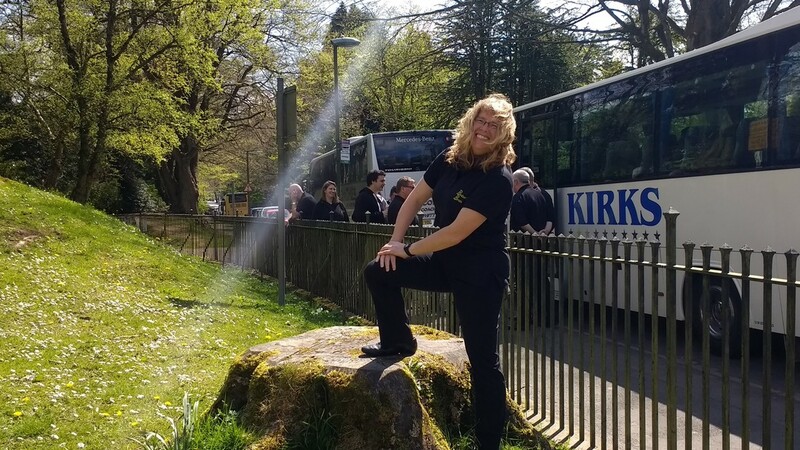 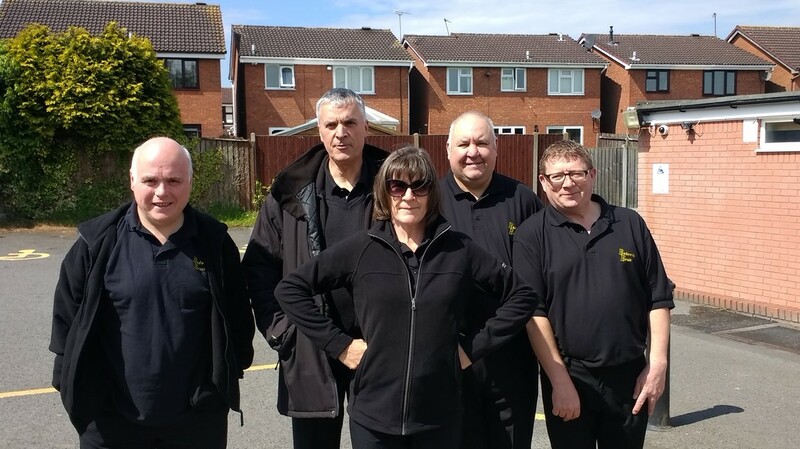 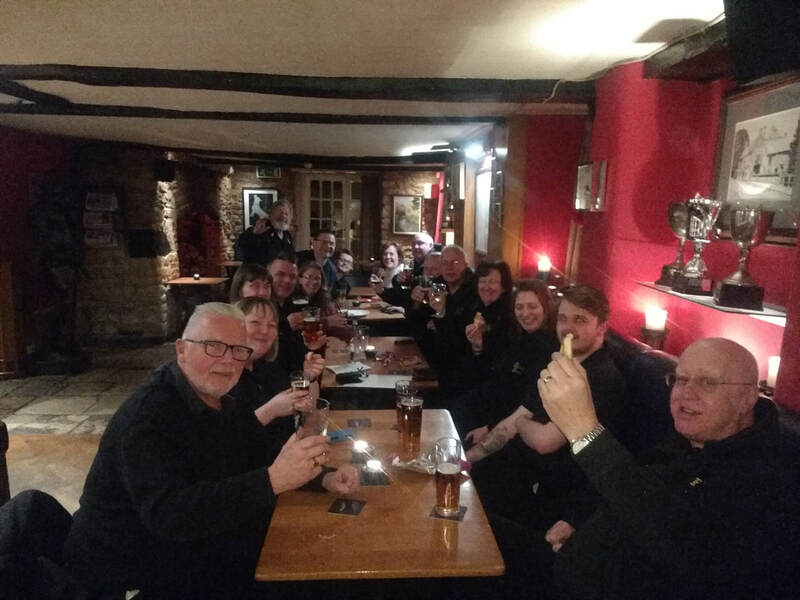 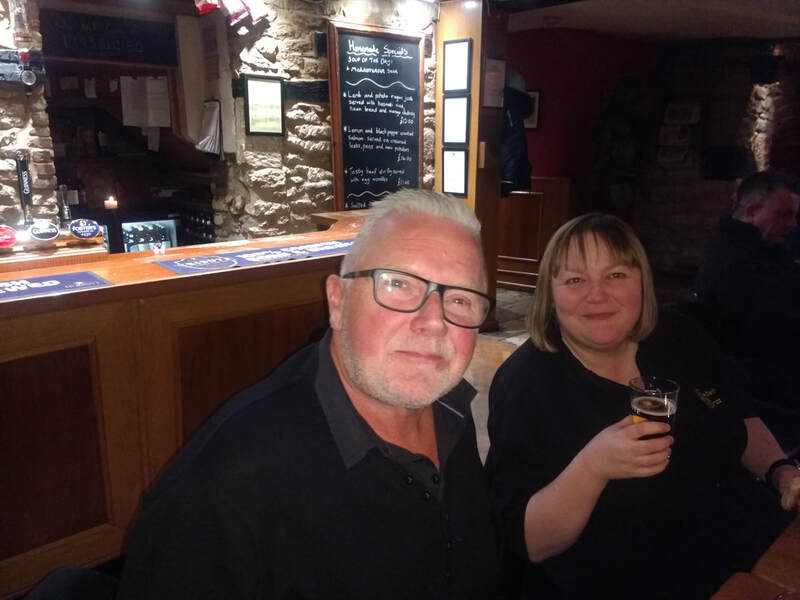 We say a big thank you and goodbye for now to Paul Sanders, who has been sitting in on rehearsals for a few months while working in the area, and helped out so brilliantly at both Bolsover and Wychavon. 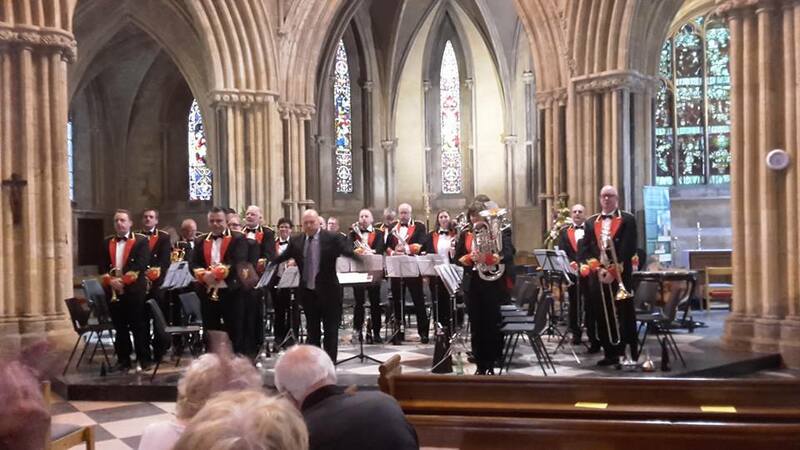 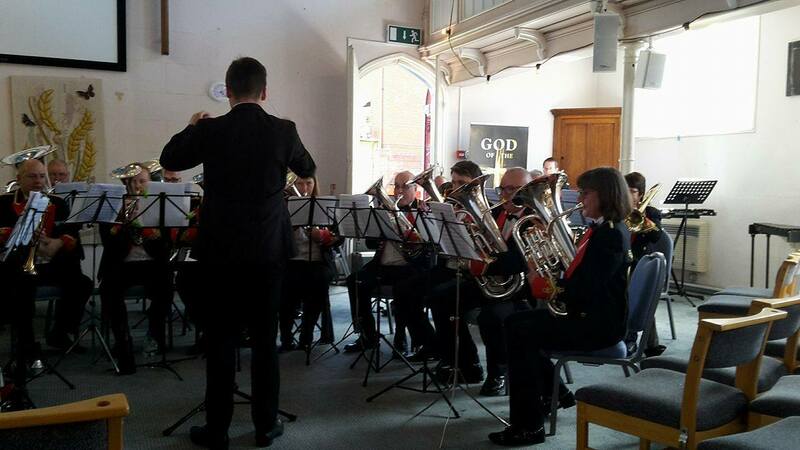 ​ It is always a pleasure to play in the beautiful surroundings of Pershore Abbey, and this year was no exception. The band started with the fast and furious 'Dance of the Tumblers'. 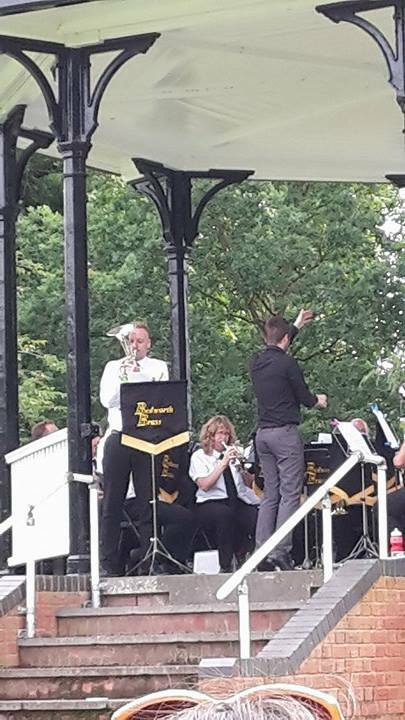 Next was a tenor line duet of Rhona Baker and Steven Guy playing 'Timepiece' - a light hearted version of 'Grandfather's Clock'. 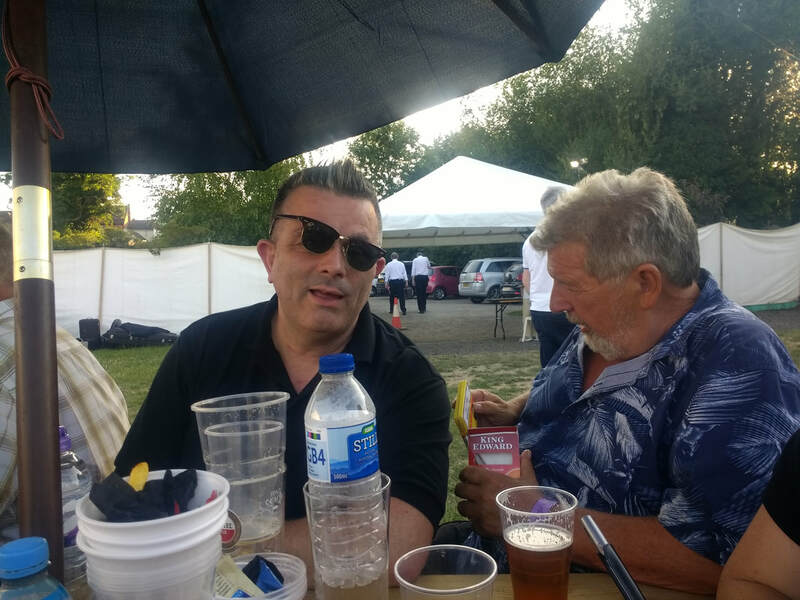 Following this, Ian Perry made perfect use of the acoustic and produced a beautiful performance of 'A Little Star Went Out'. Very fitting for the surroundings, 'The Day Thou Gavest' was next, ending with 'Nordic Polska' and finally ' Galaxies'. 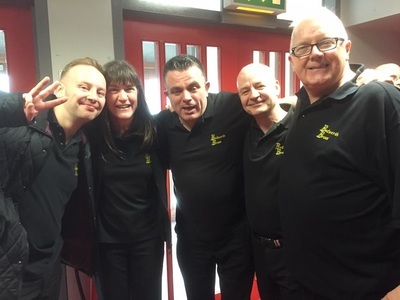 Jack takes Helen under his wing John's last performance with us. 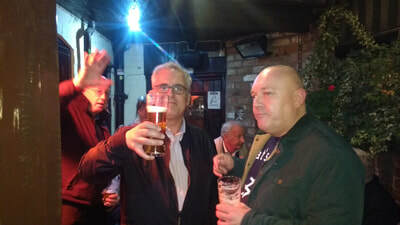 We thank Lip....after 1 pint!! coach!! 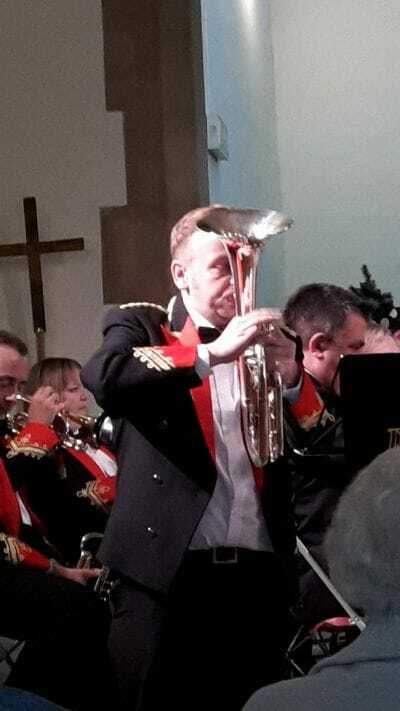 and of course your playing. 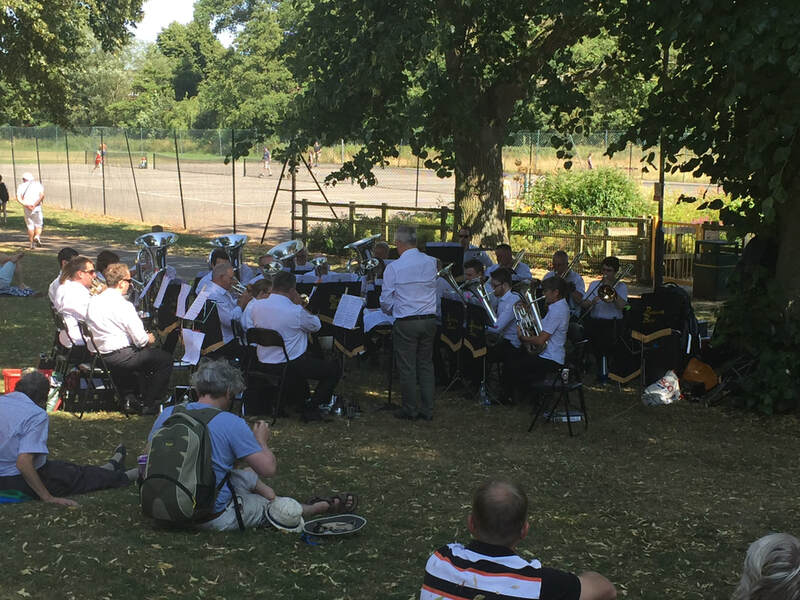 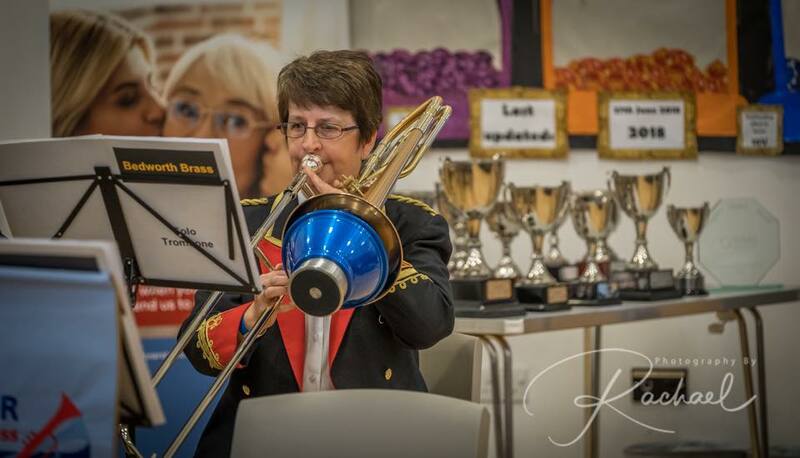 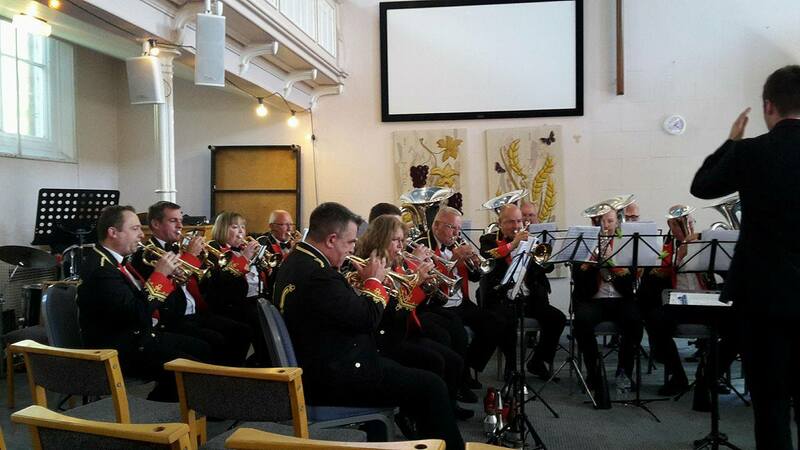 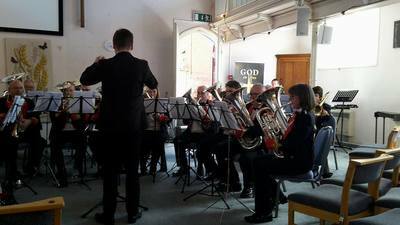 The Rev Kate Massey once again welcomed the band to their afternoon of fun and entertainment. 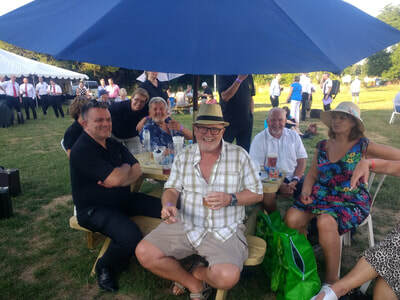 The Gala is a lovely community event, and was well attended, despite England playing in the World Cup that afternoon! 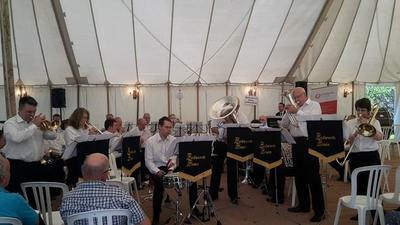 The band played a rousing selection of favourites at its first engagement at the 'Nuns' rugby club. 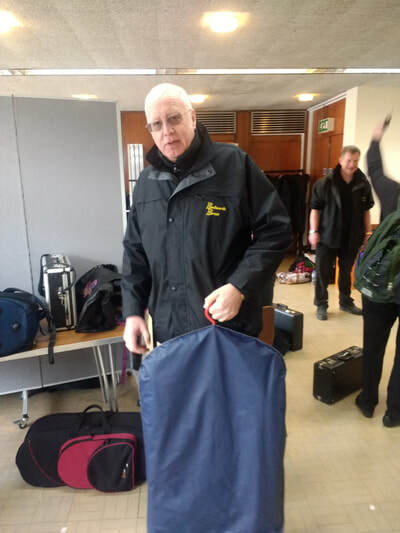 Congratulations to Lip (Steve Lilly), one of a select group who are celebrating their 30th consecutive Area contest with the band. 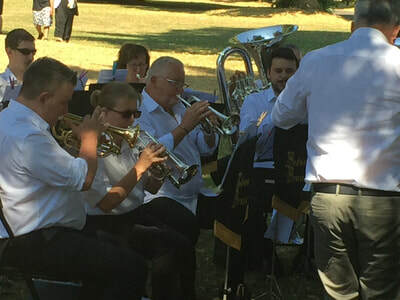 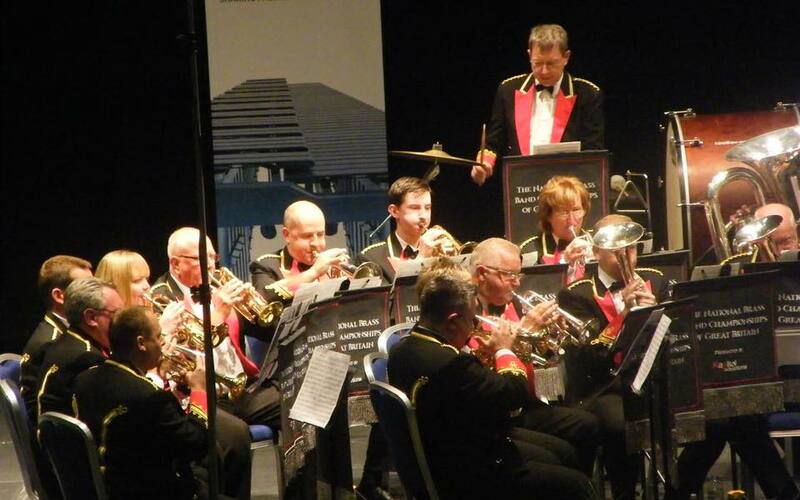 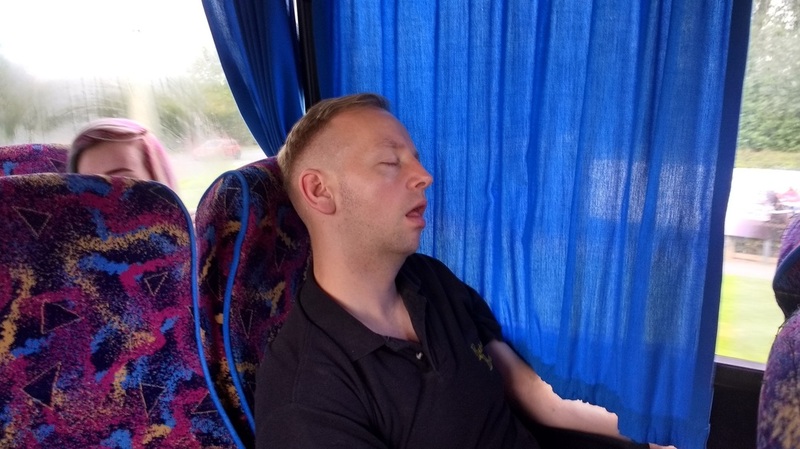 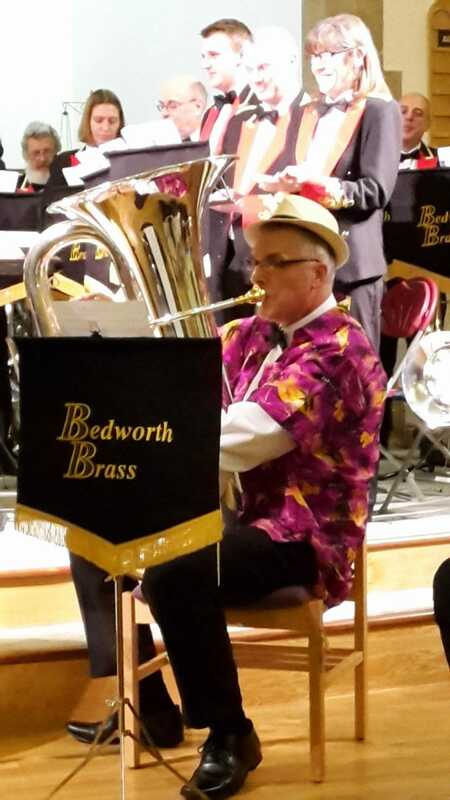 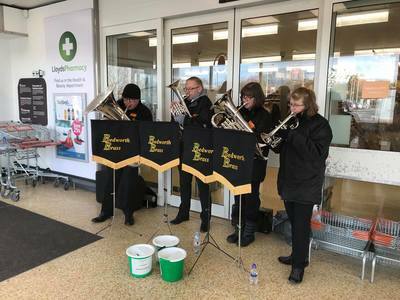 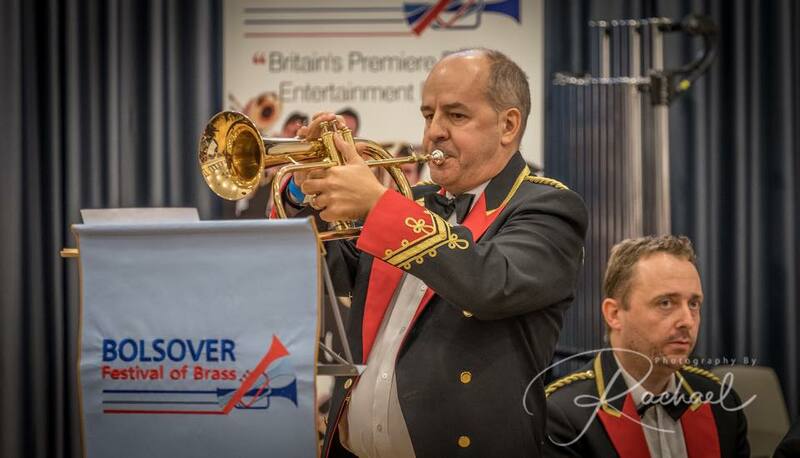 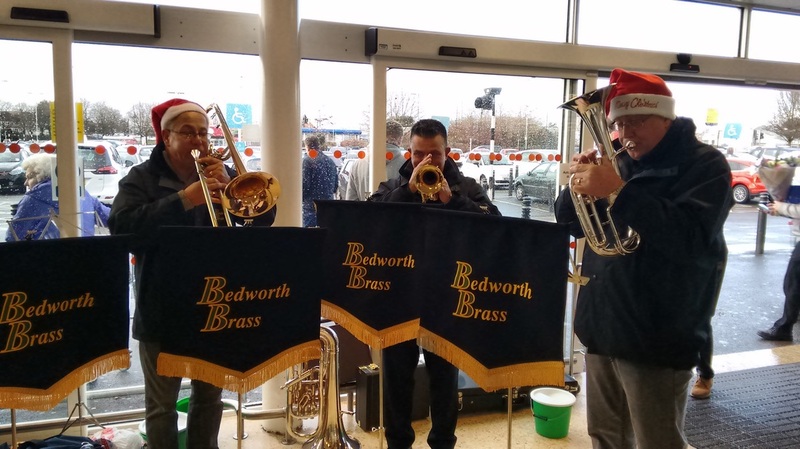 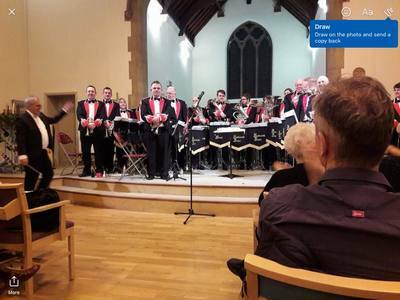 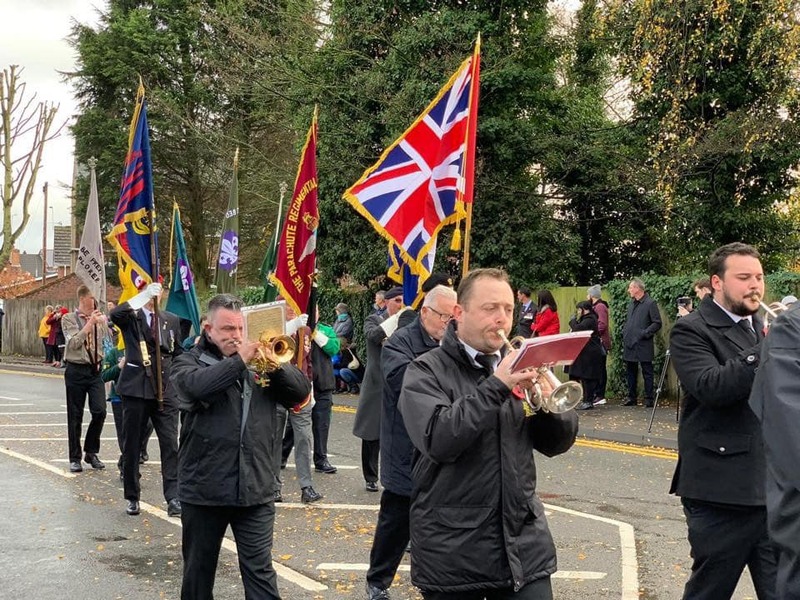 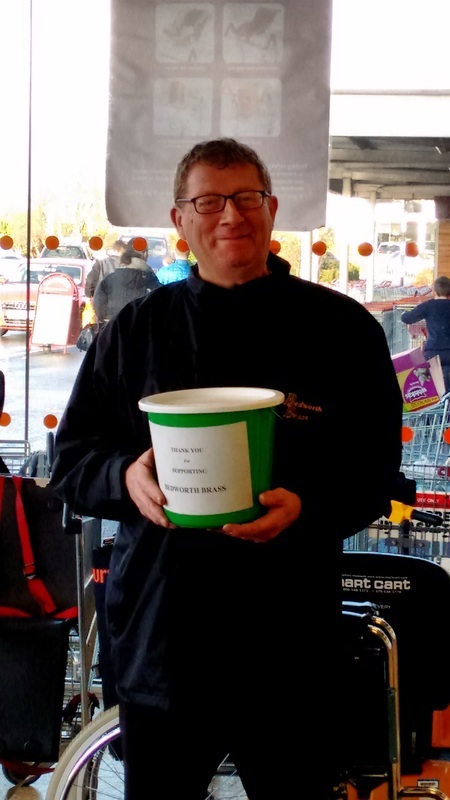 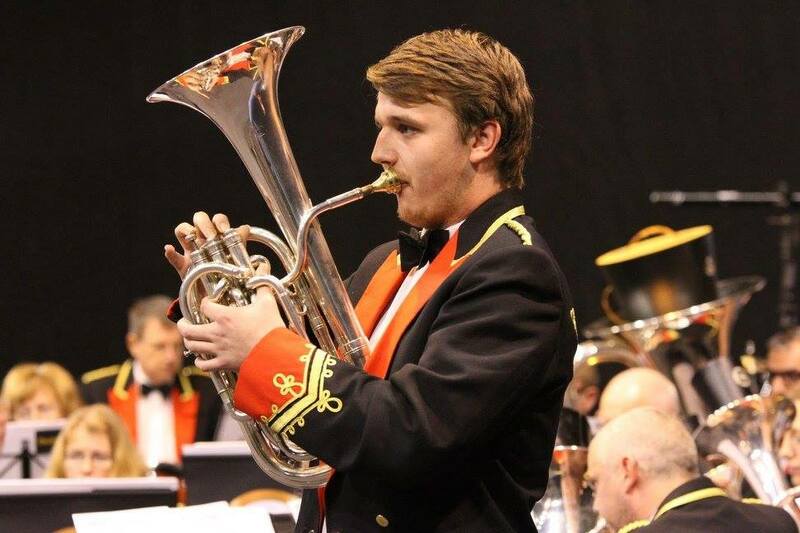 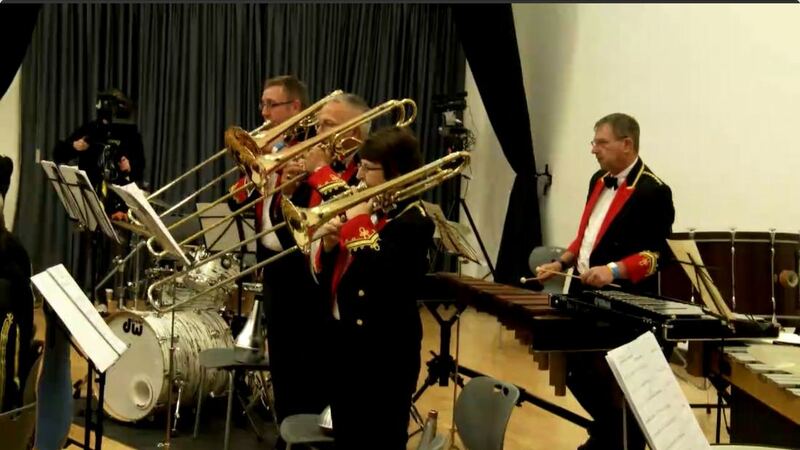 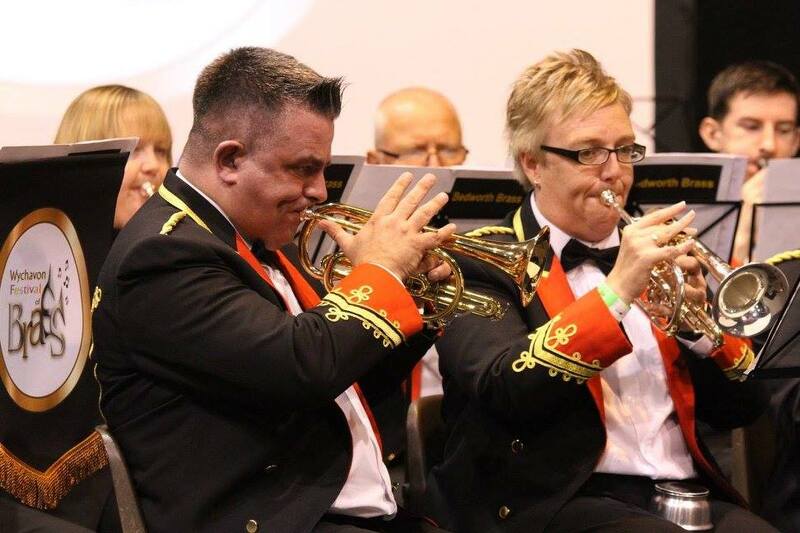 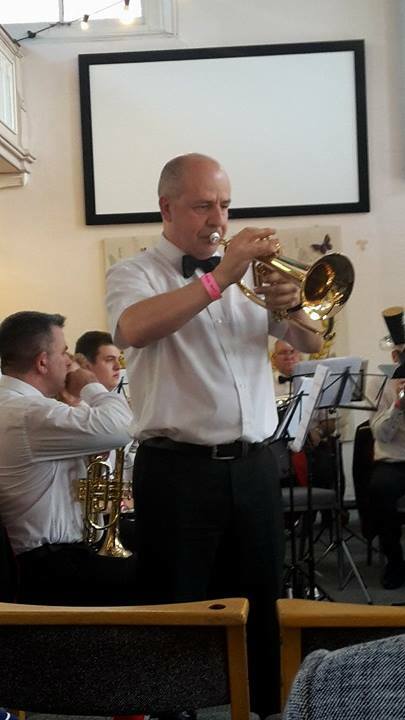 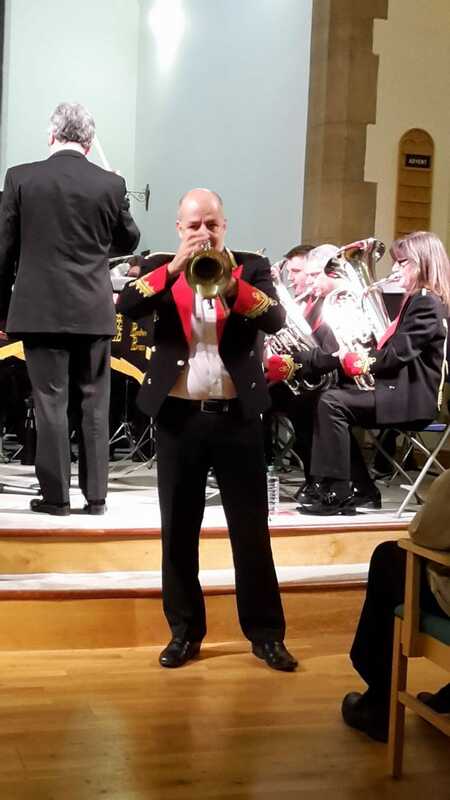 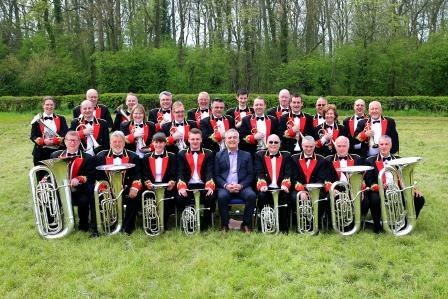 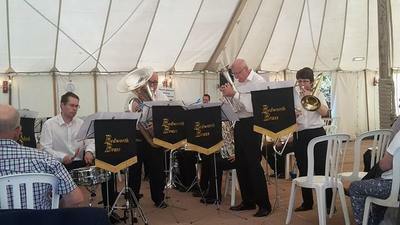 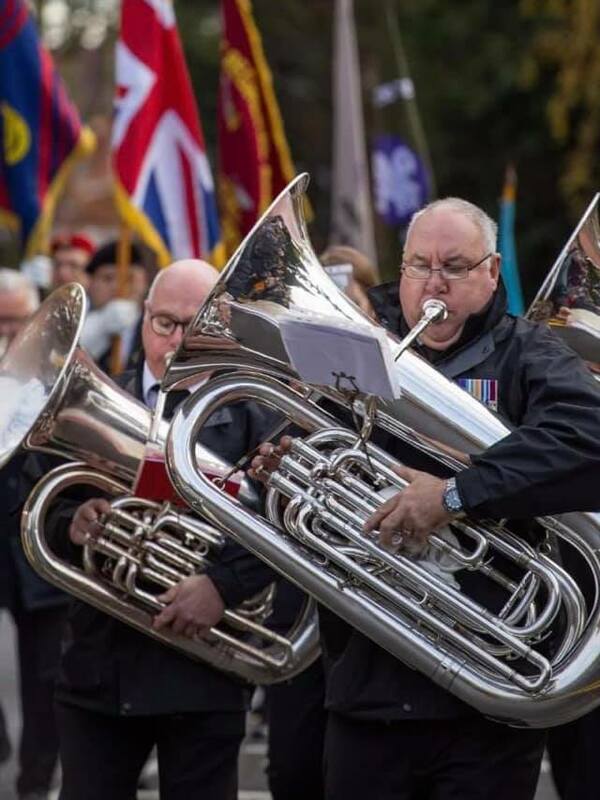 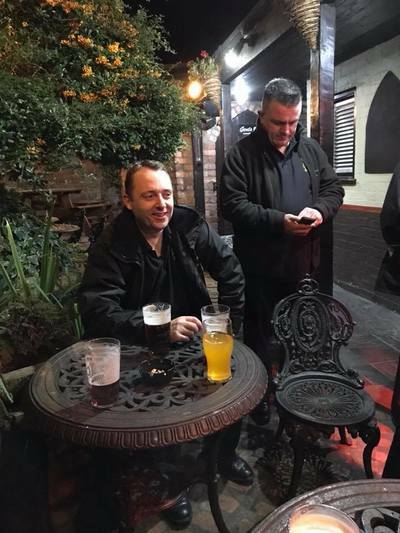 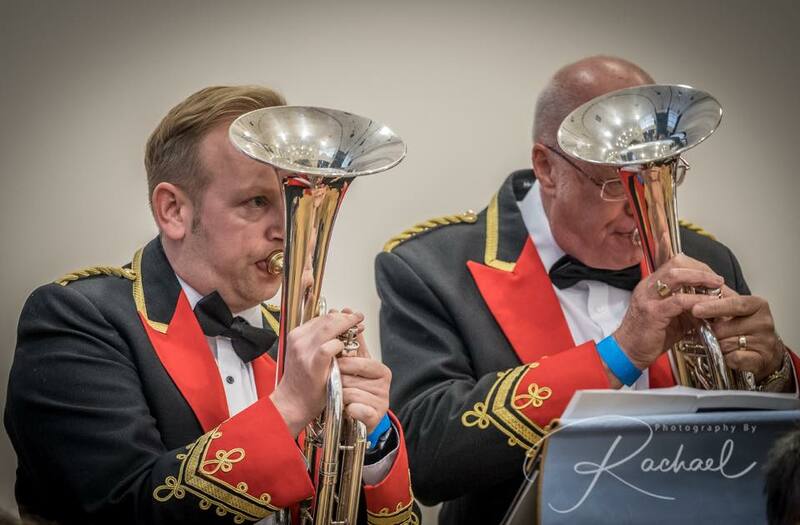 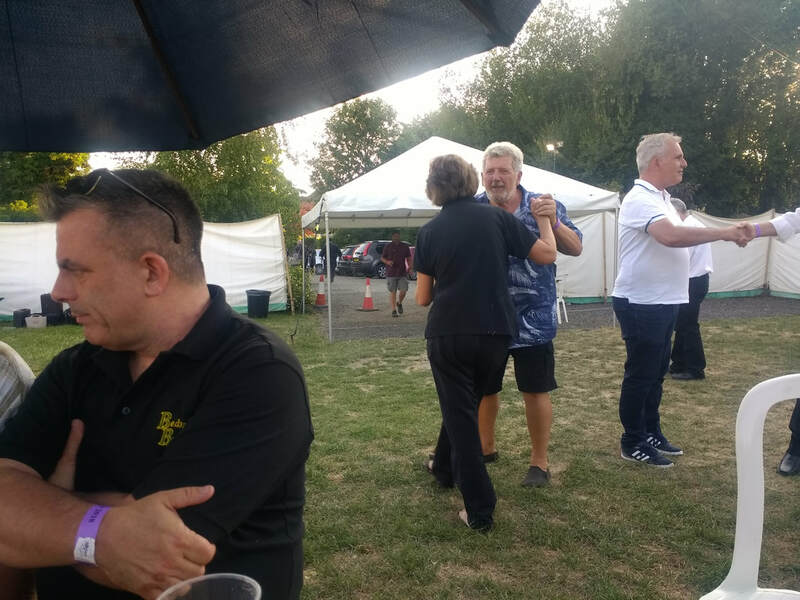 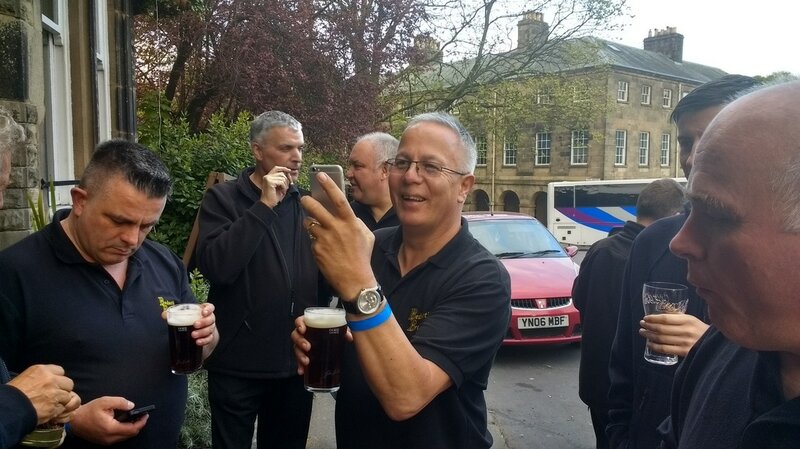 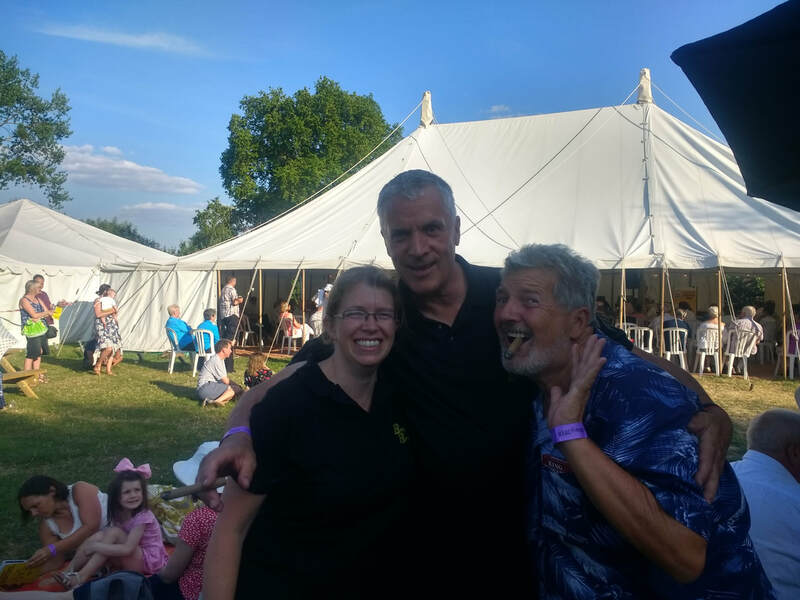 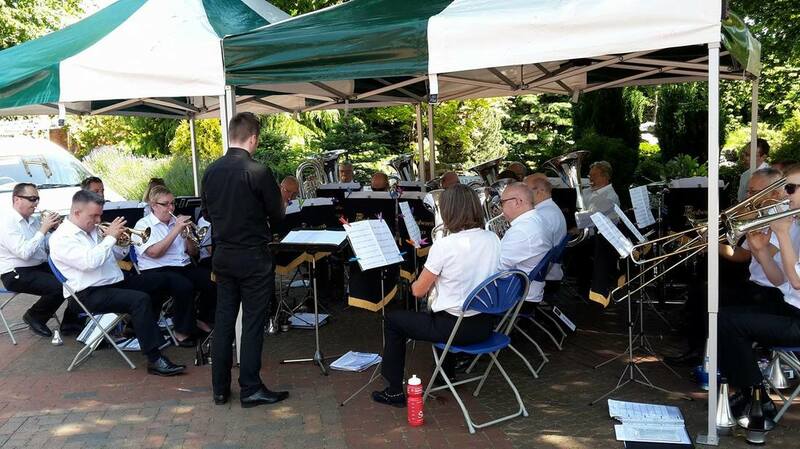 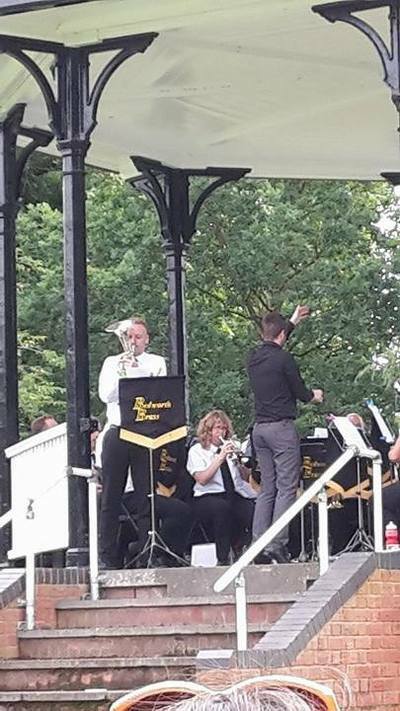 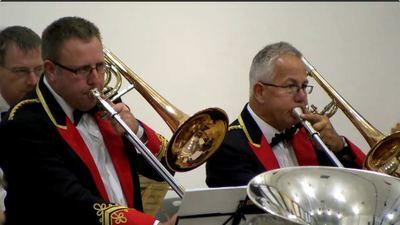 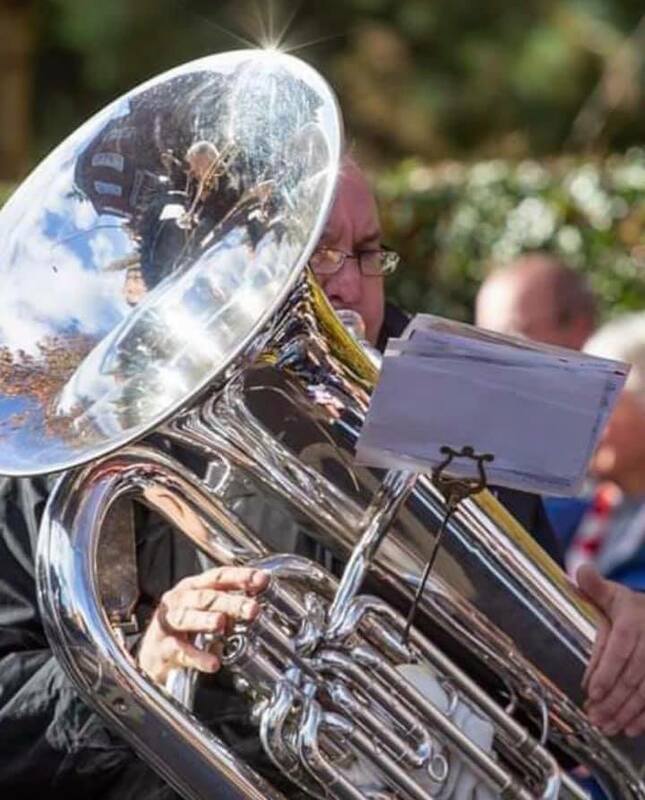 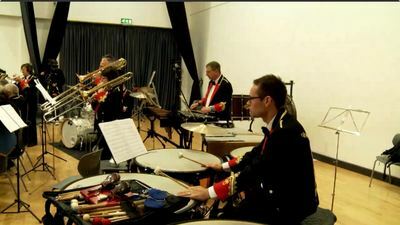 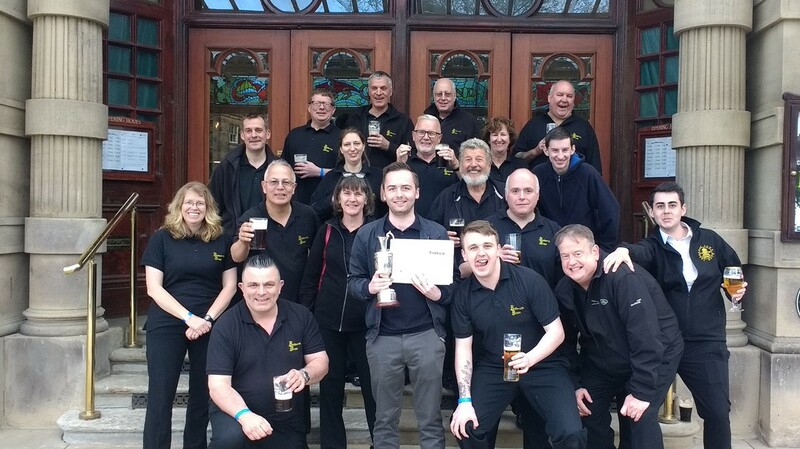 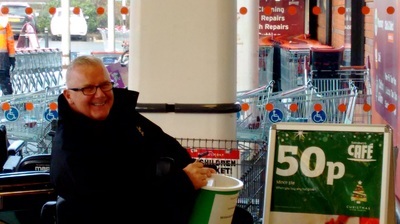 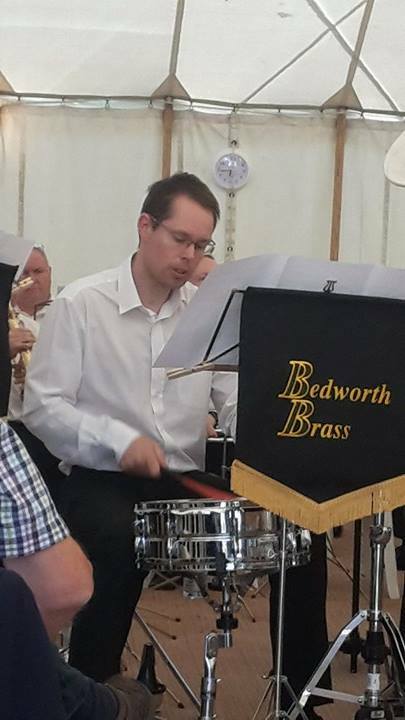 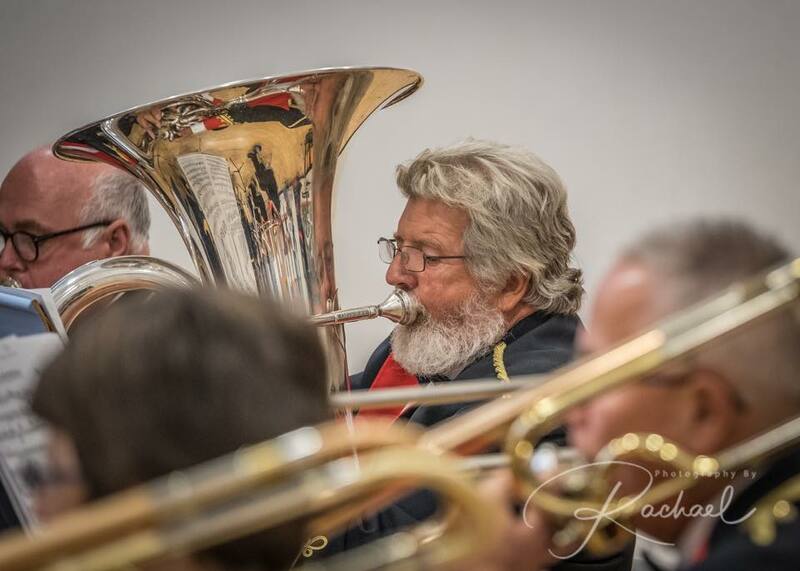 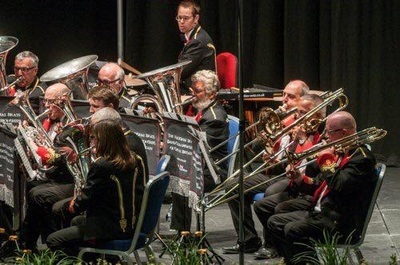 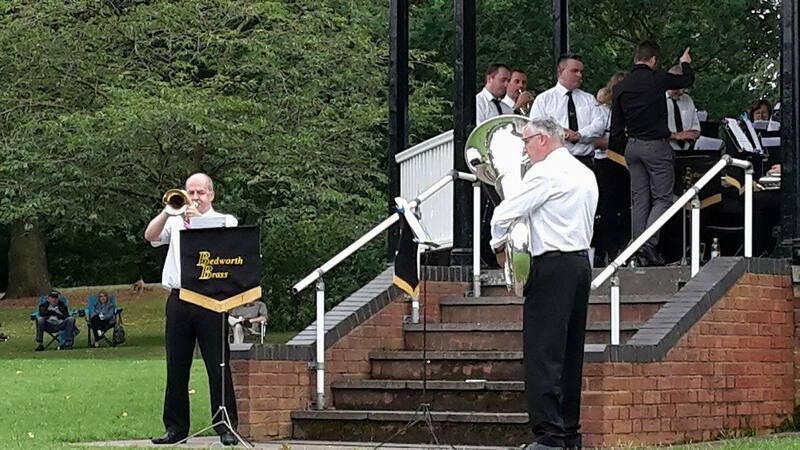 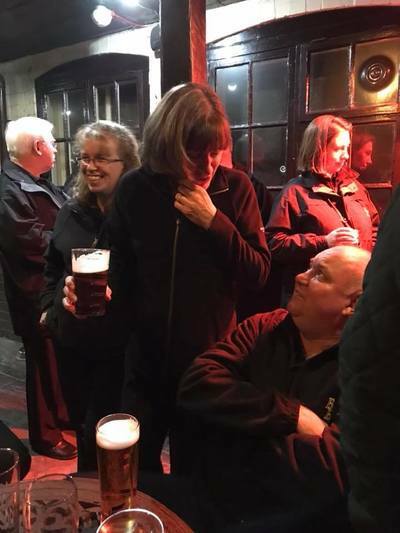 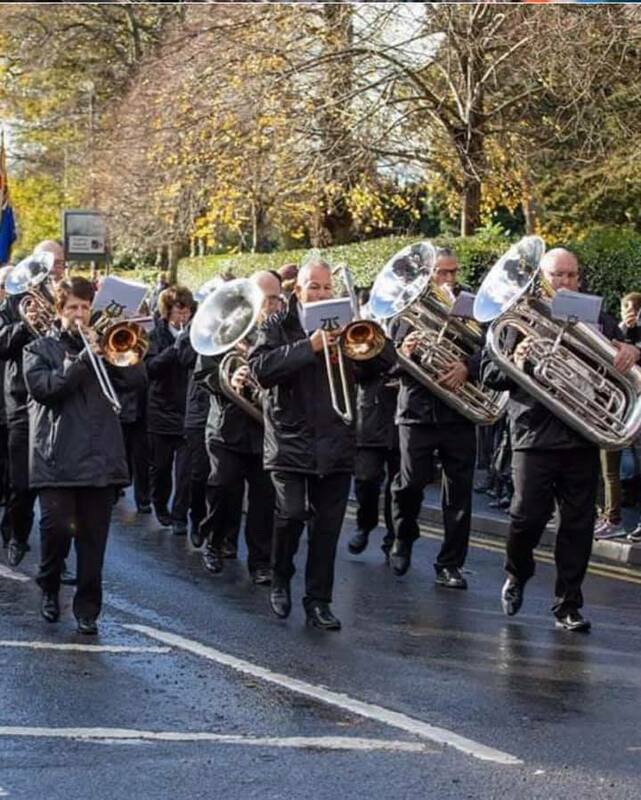 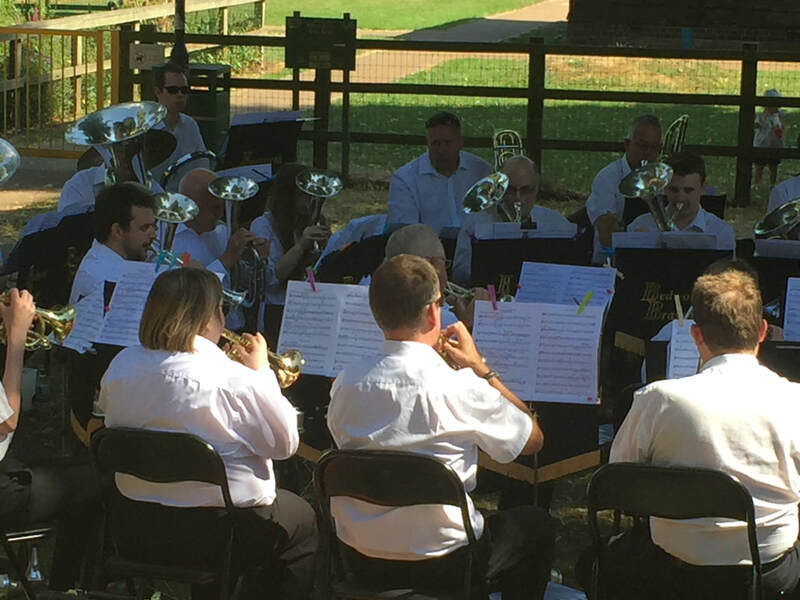 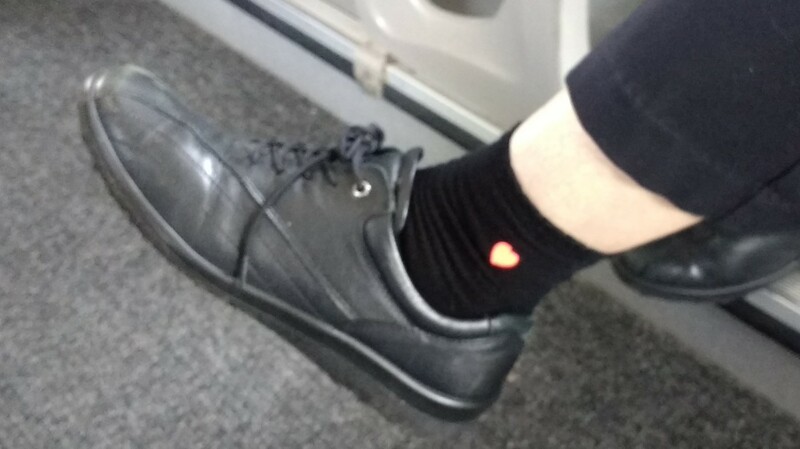 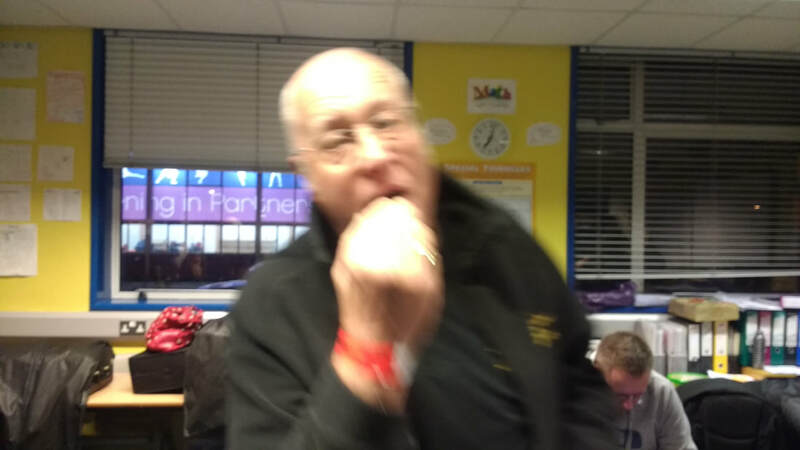 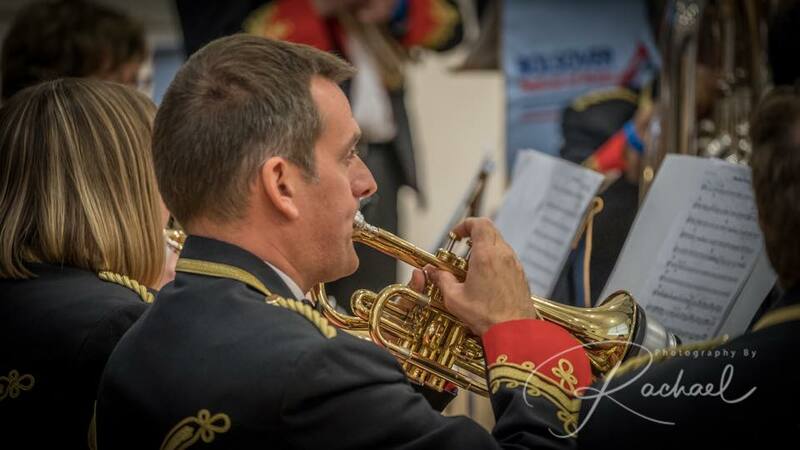 Although his long service could be attributed to the friendliness and big heart of the band, in truth he is the engineer of the spirit that is Bedworth Brass, and the long standing success of the band is largely due to his passion for banding, his inclusive nature and his bottomless sense of humour and fun. 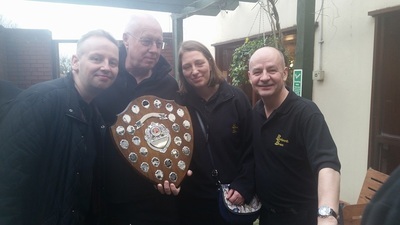 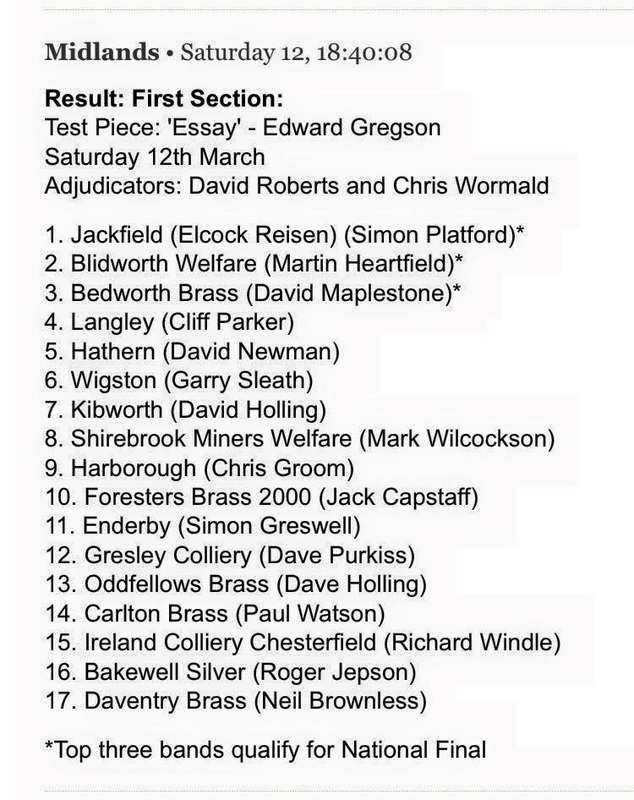 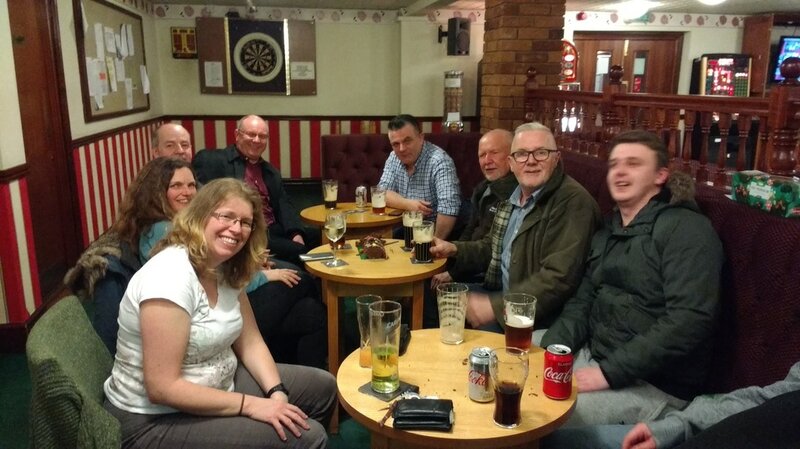 With so many members of the band having played for decades, it is unusual to also be congratulating Rhys Edwards and Emma Calverley on their first Area with us, and what a triumph to be part of. 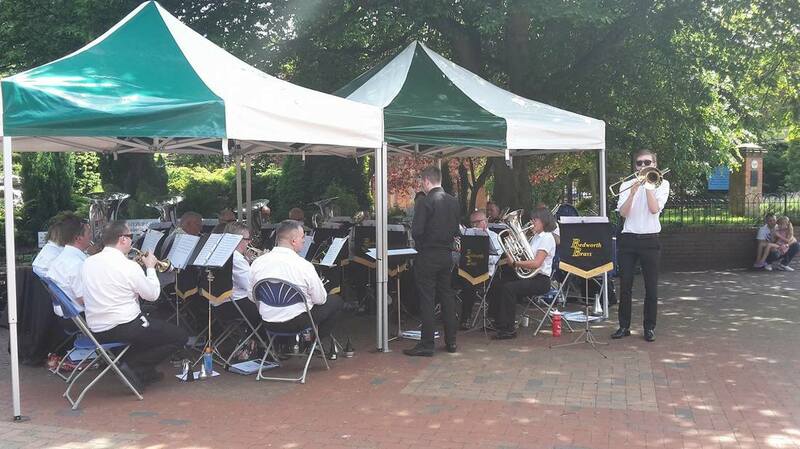 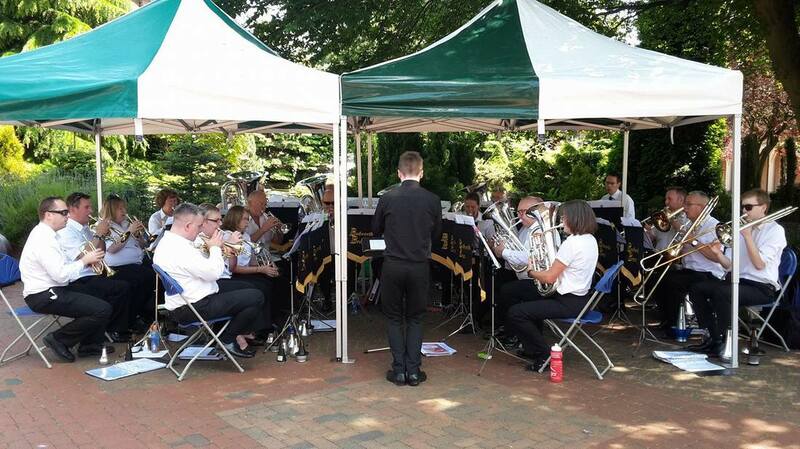 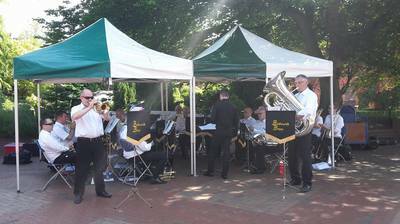 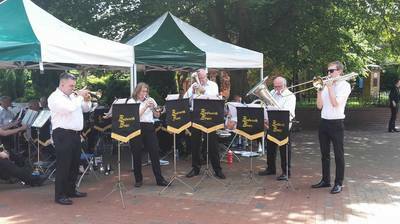 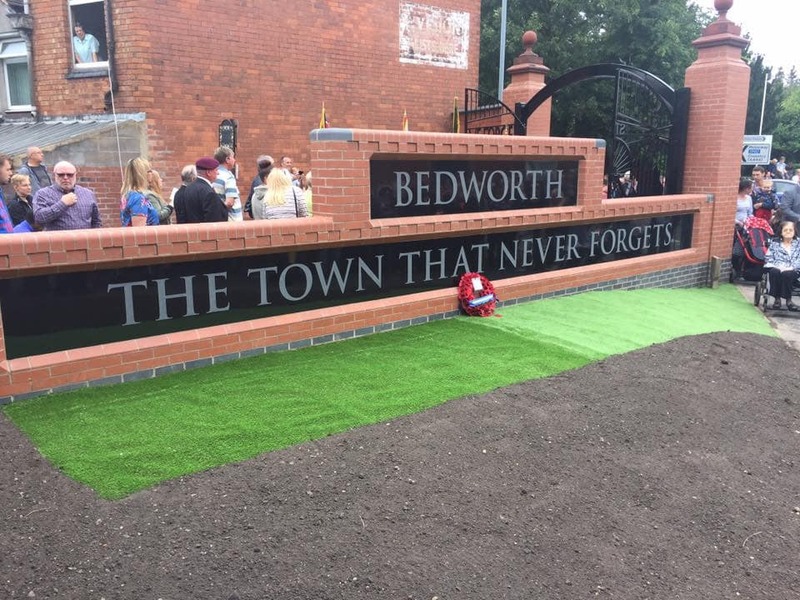 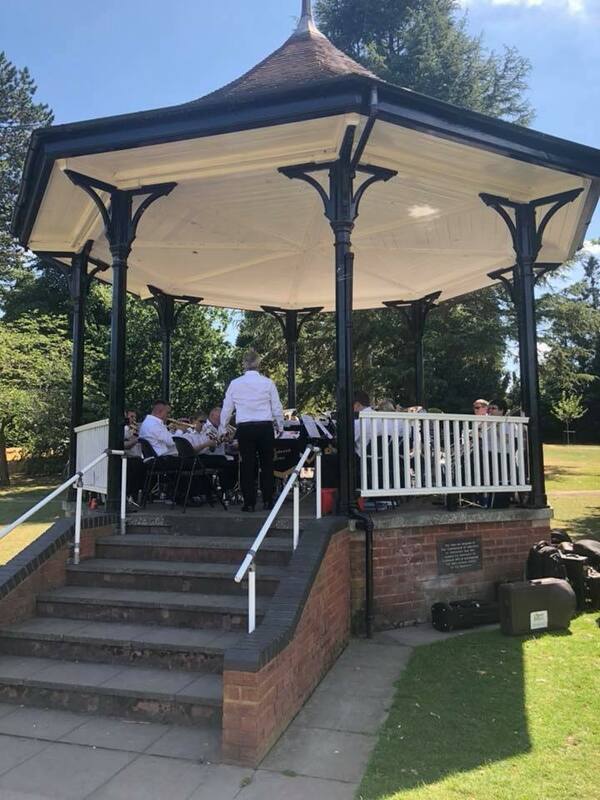 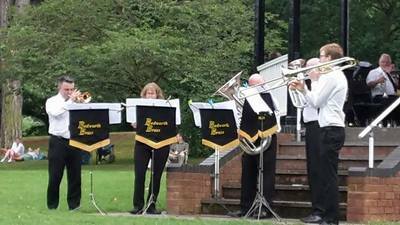 Saturday left nothing in the band room, as we produced a performance worthy of Beautiful Bedworth, the memory of which will live on. 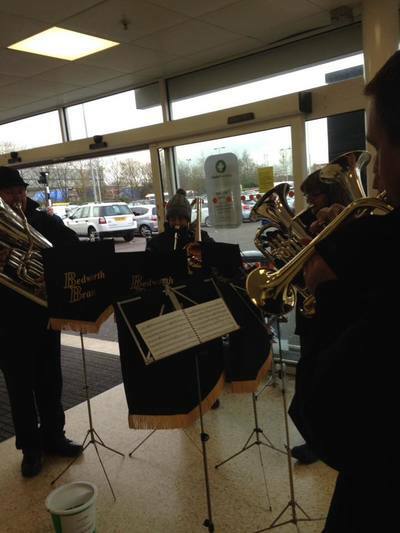 the band Rhys and Steve Jack and Keith rises from his death bed to perform. 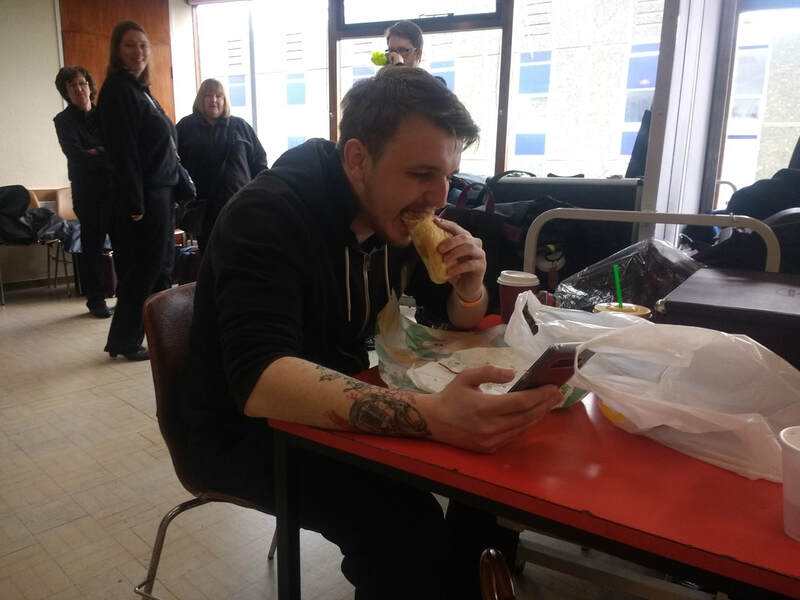 Jason prepares his lip for the solo challenge. 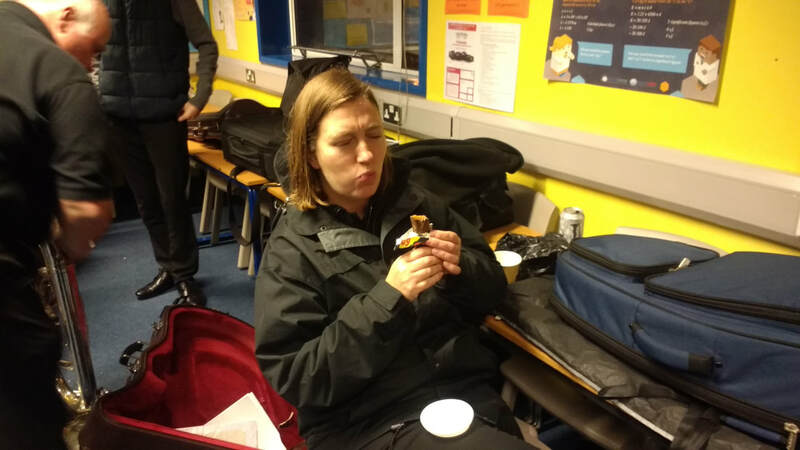 While some take the warm up deadly seriously, others just fill their face. Post mortem complete, and time to enjoy the excellent company! 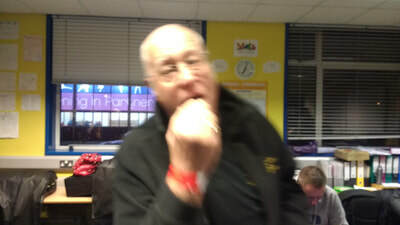 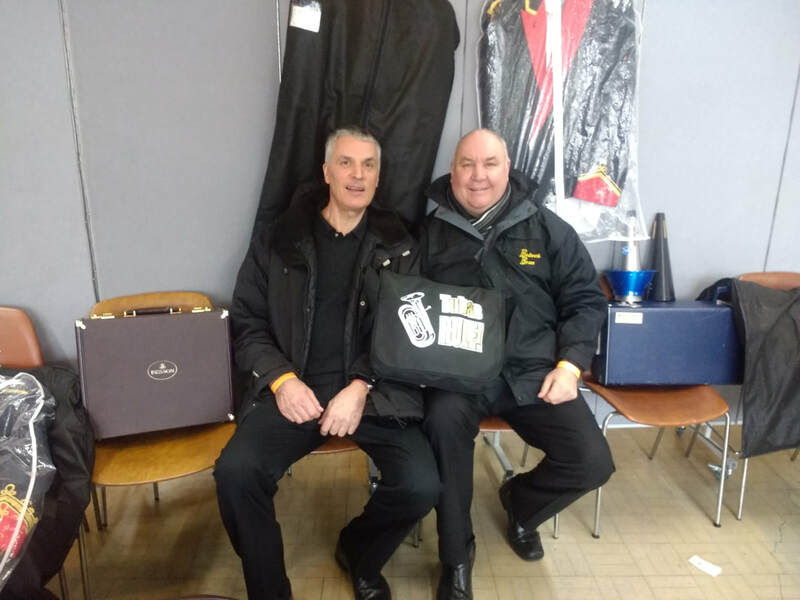 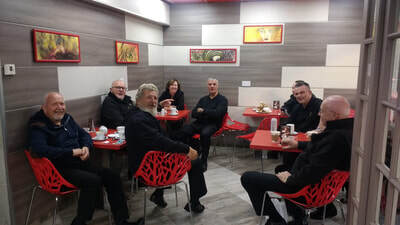 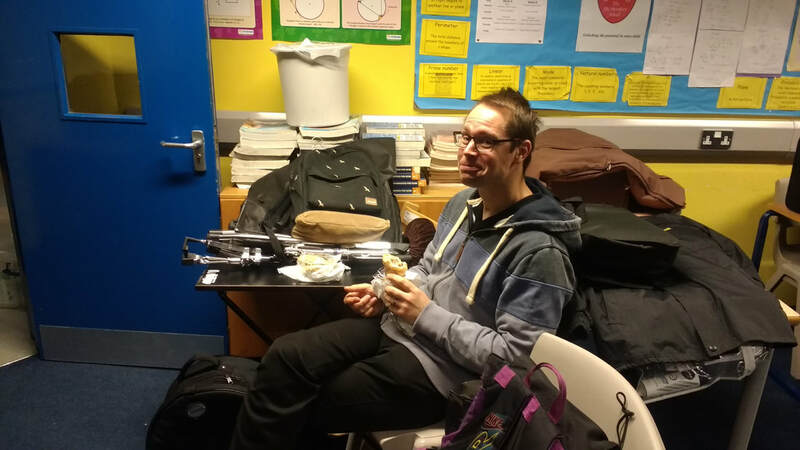 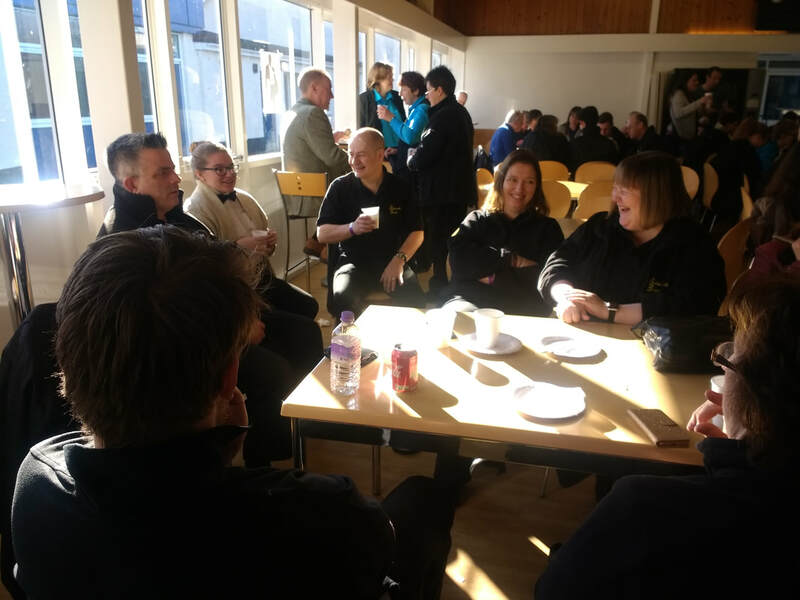 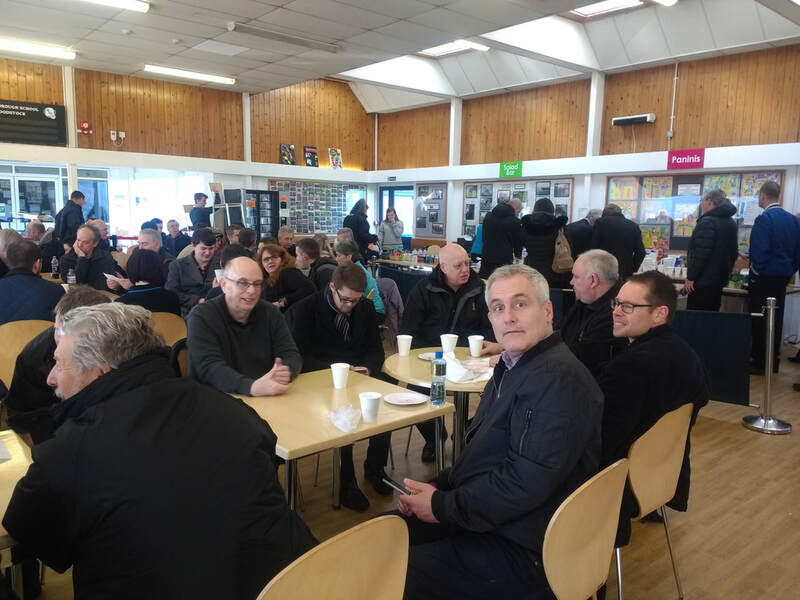 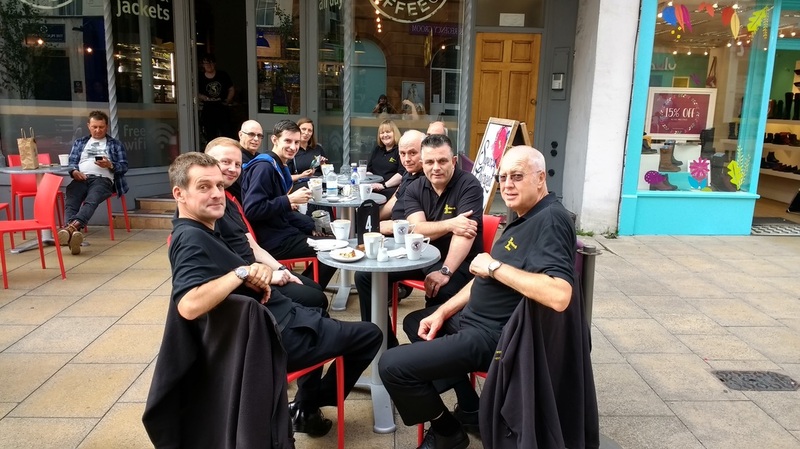 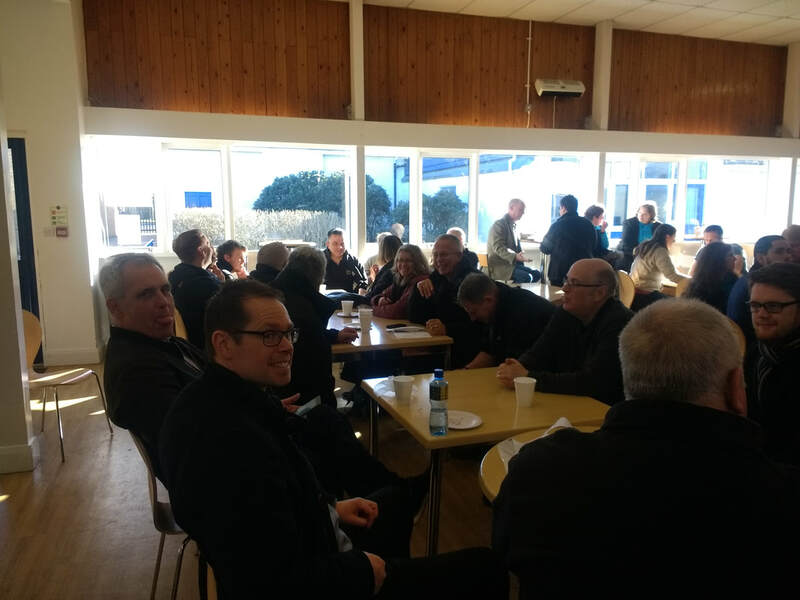 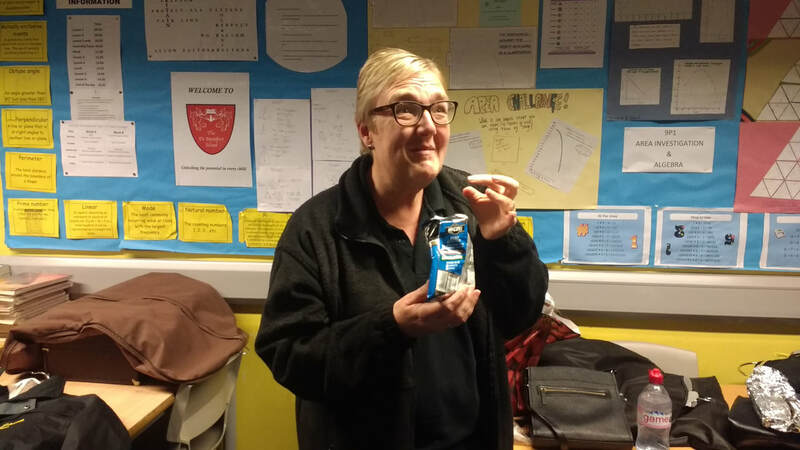 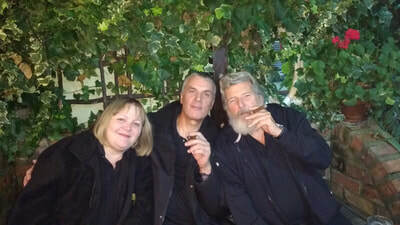 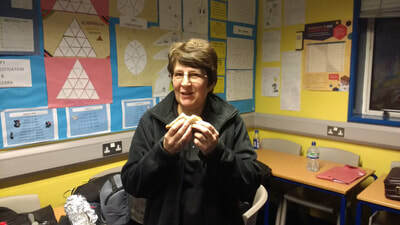 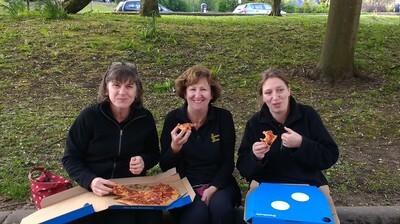 The camaraderie of the band evident as we sample the delights on offer at The Marlborough School, before the contest. 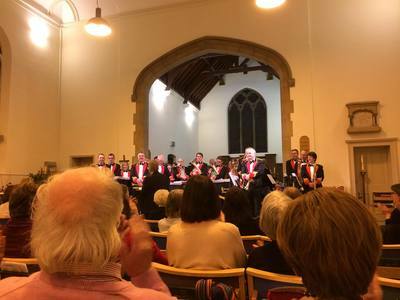 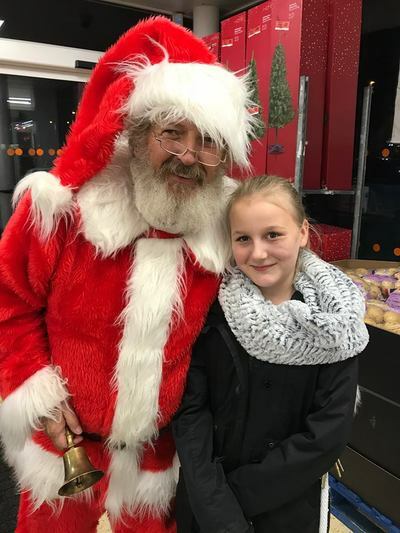 A joyous evening of music to herald the Christmas Season took place at the annual concert at St Paul's Church in Stockingford. 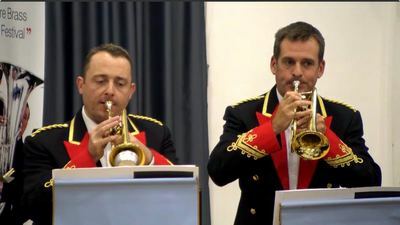 This was the 25th anniversary of the band's concerts, with the proceeds going to MIND. 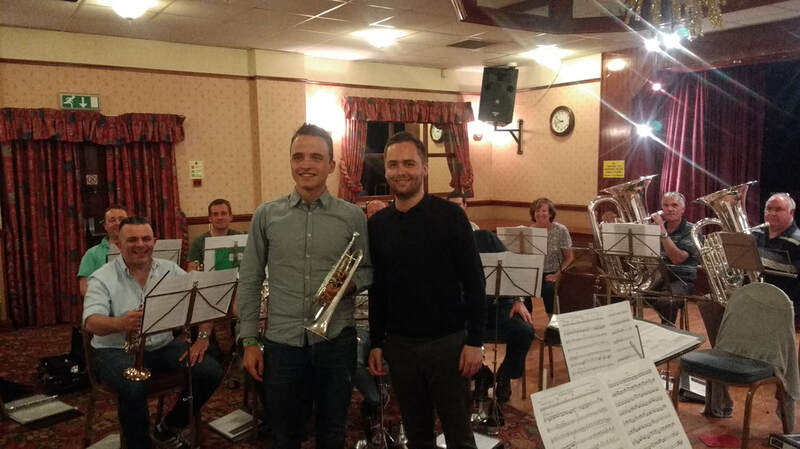 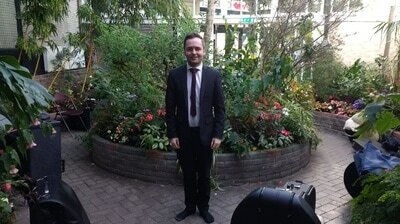 Congratulations to Rhys on his first concert with us. 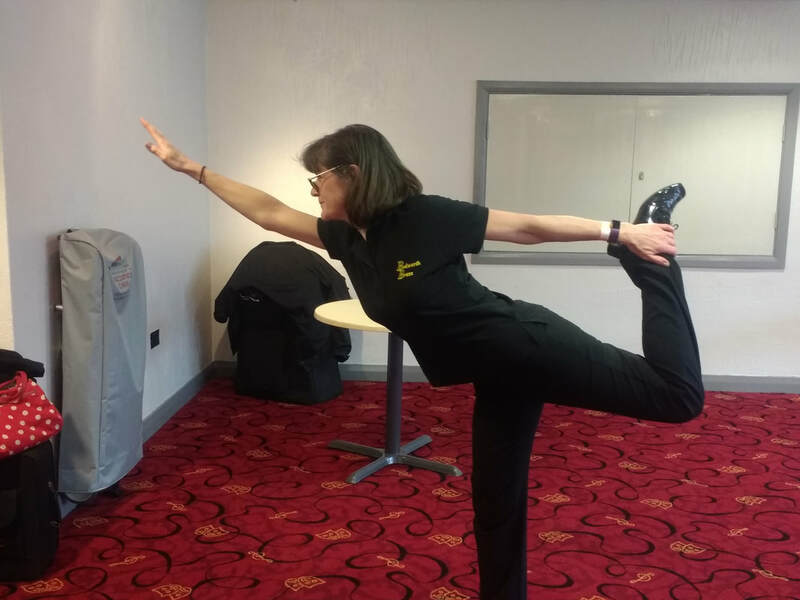 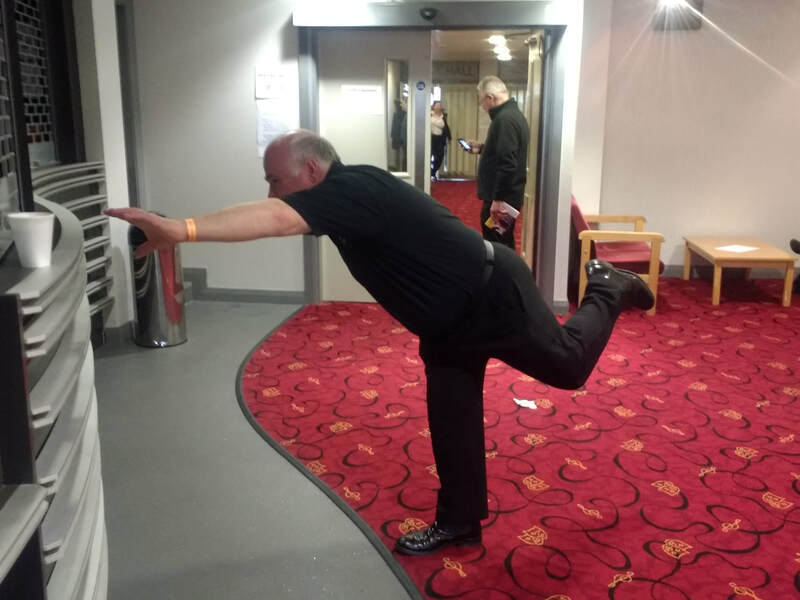 And the post performance cool down, to round off a great day out. Increasing in popularity year by year, this is an opportunity for us to entertain our local community. 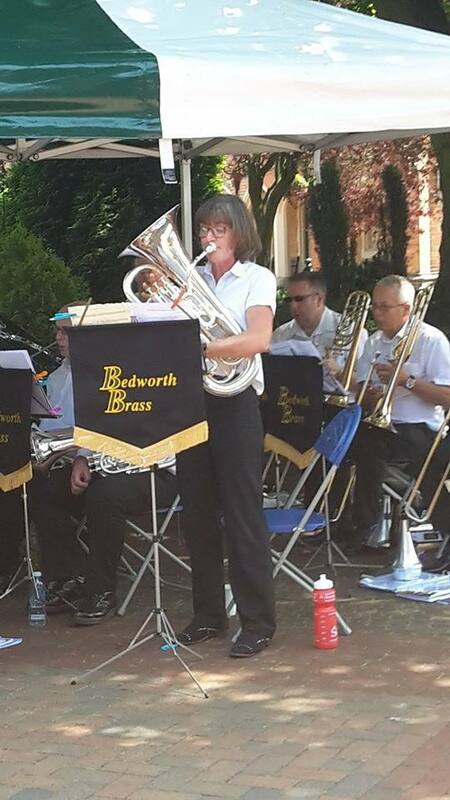 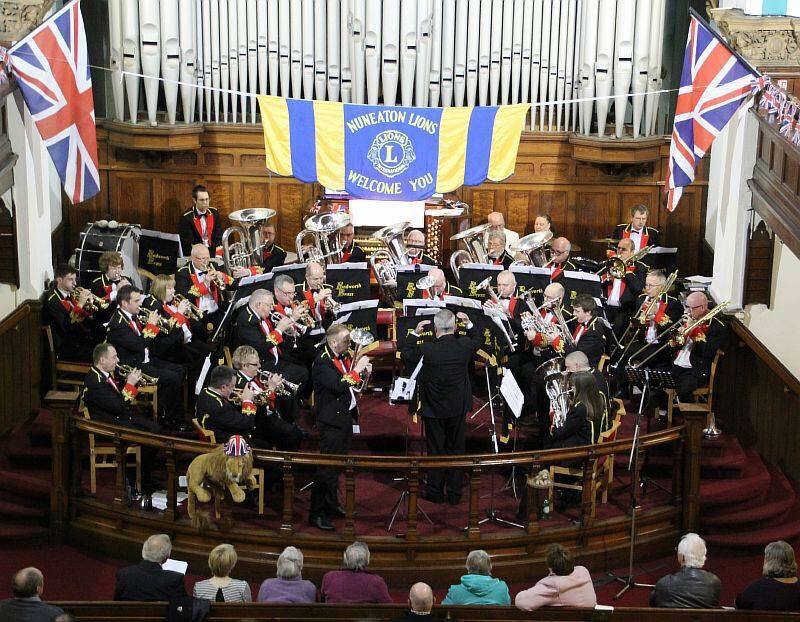 The annual concert has become the highlight of the calendar for us and is our chance to make Bedworth proud of their local band. 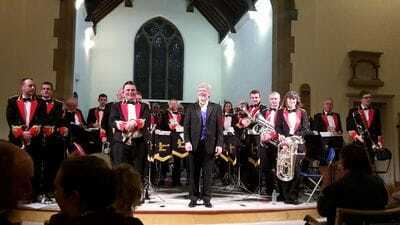 This year was a triumph, with the return of MD David Maplestone. 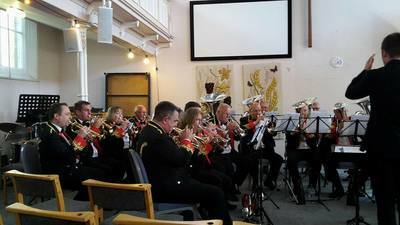 The band were on fine form, and engaged with the audience from the start. With a mix of solos; Faith with Ian Perry on Flugel, Shenandoah with Rhona Baker on Euphonium, Moon River with Jason Purkiss on Tenor Horn, and Carrickfergus with Steven Guy on Baritone; old favourites, Singing in the Rain and The Muppets and new pieces, The World's Greatest Storyteller and Activate, there was something for everyone. MD very much in control at our first Entertainment Contest in the Championship Section. Many thanks to Ryan Richards who has done a fantastic job for the last 6 months. 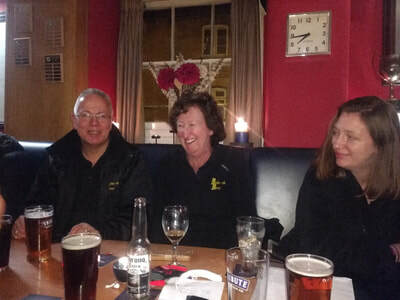 We have enjoyed the hard work, your humour, enthusiasm and youth! 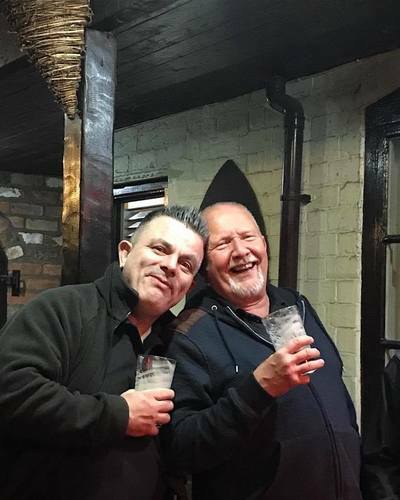 We look forward to working with you again in the future. 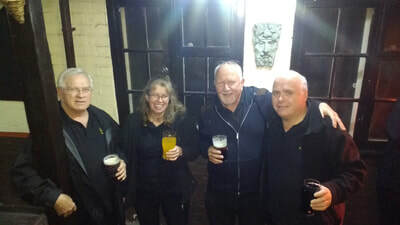 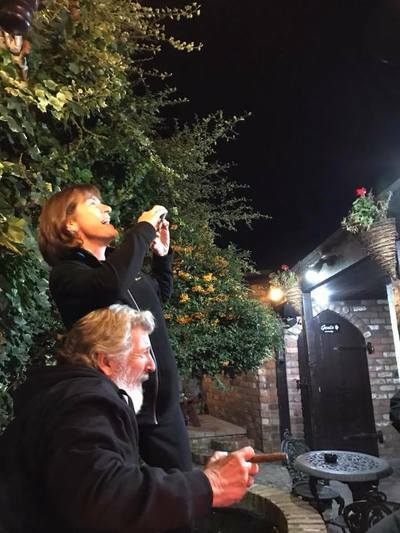 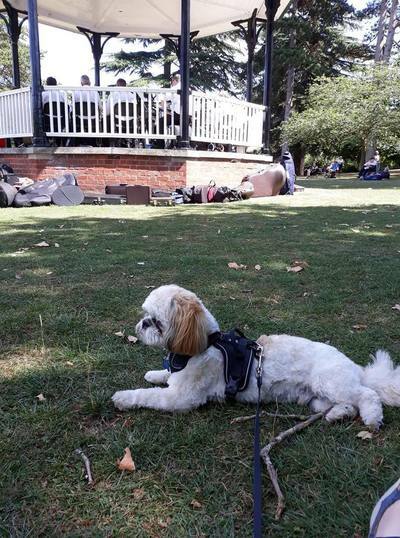 Thanks to Ryan for inviting Besson artist Lode Violet, who is in the UK for the British Open this weekend, to rehearsal. 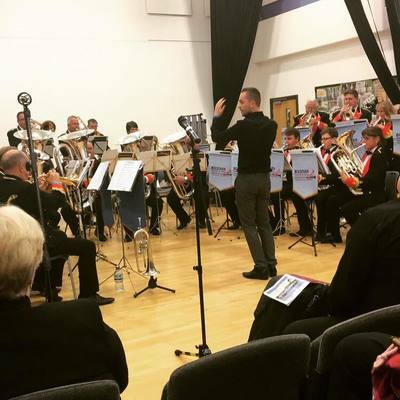 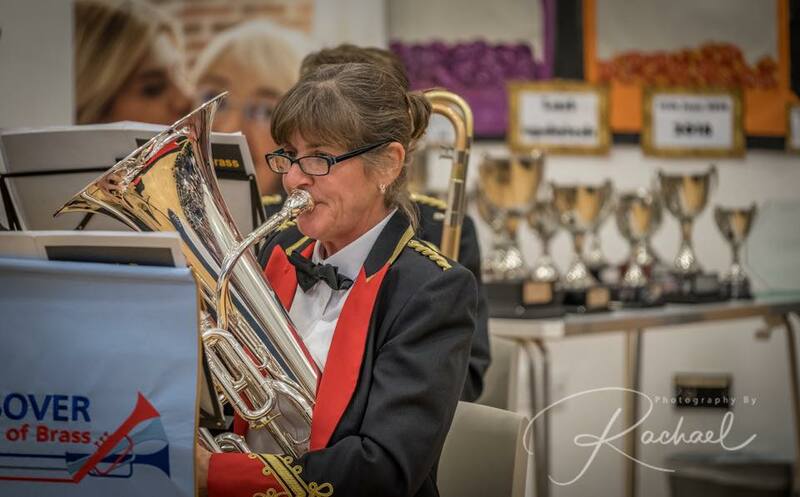 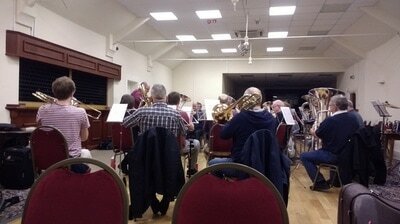 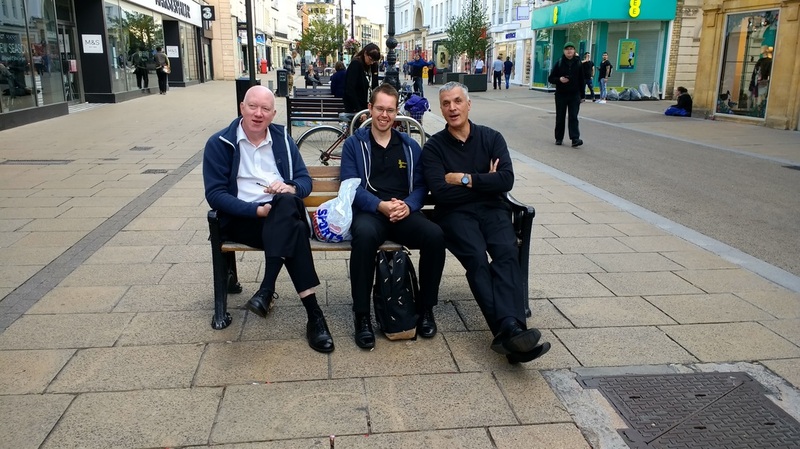 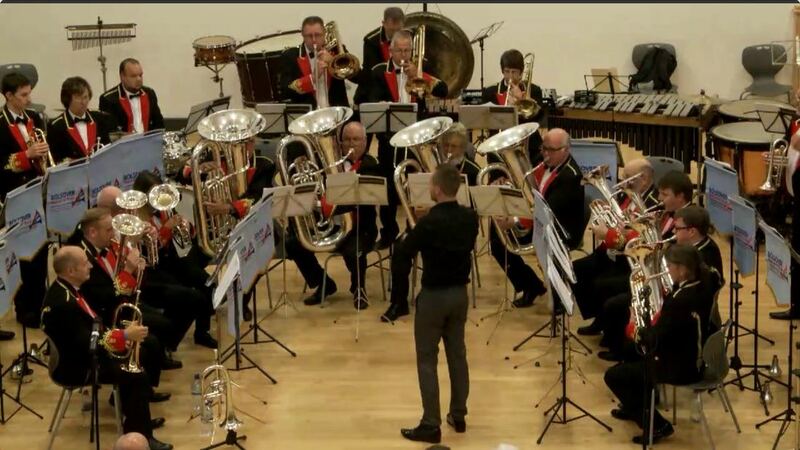 Lode joined the front row for part of the rehearsal, and also acted as adjudicator, as the band prepare for both the Bolsover contest, and the annual concert at the Civic Hall on 13th October. Celebrating 2nd place. 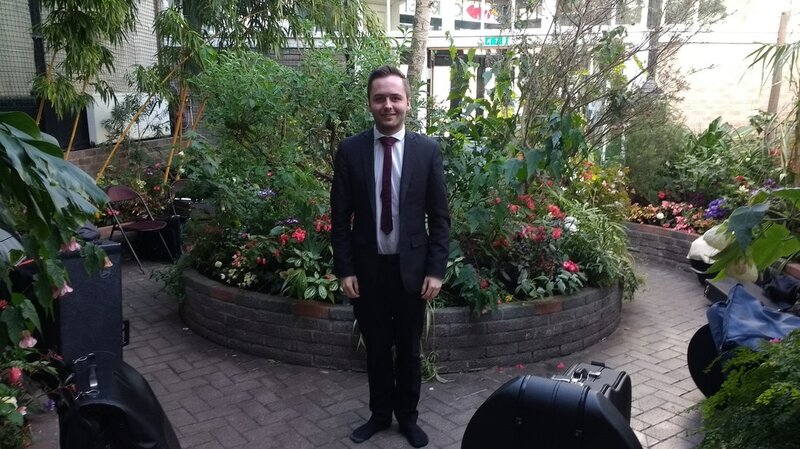 Congratulations to Ryan on his first band contest as an MD. 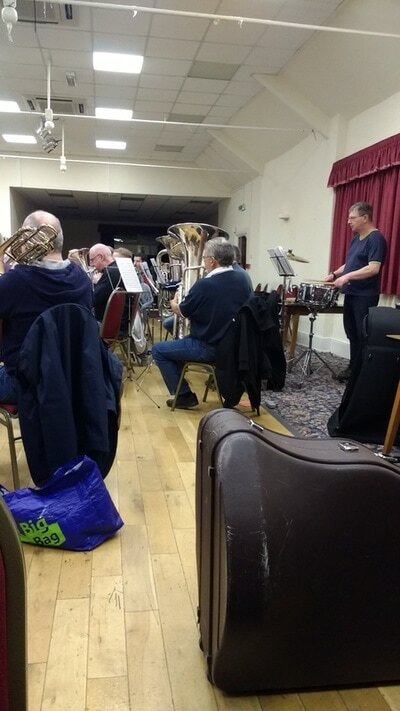 Preparations for the Area, with Chris Houlding conducting. The annual Christmas Concert at St Pauls' Church, Stockingford. 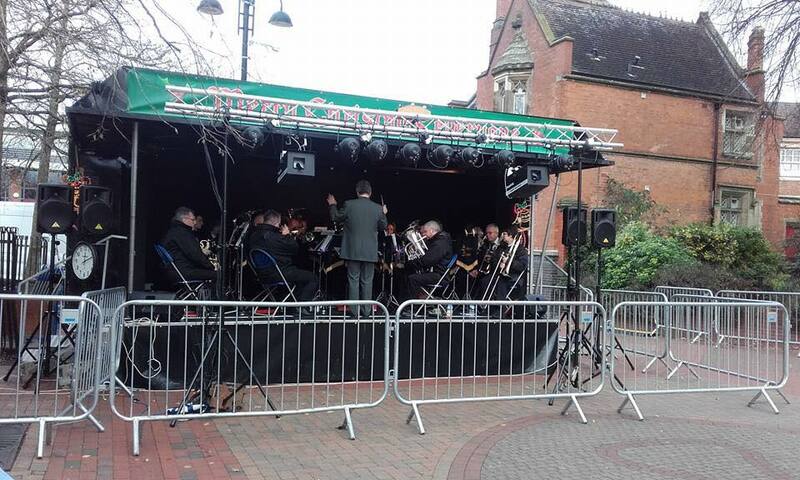 Playing in Bedworth Town Centre for the switching on of the Christmas. 21st October 2016: Annual concert at the Civic Hall in Bedworth. 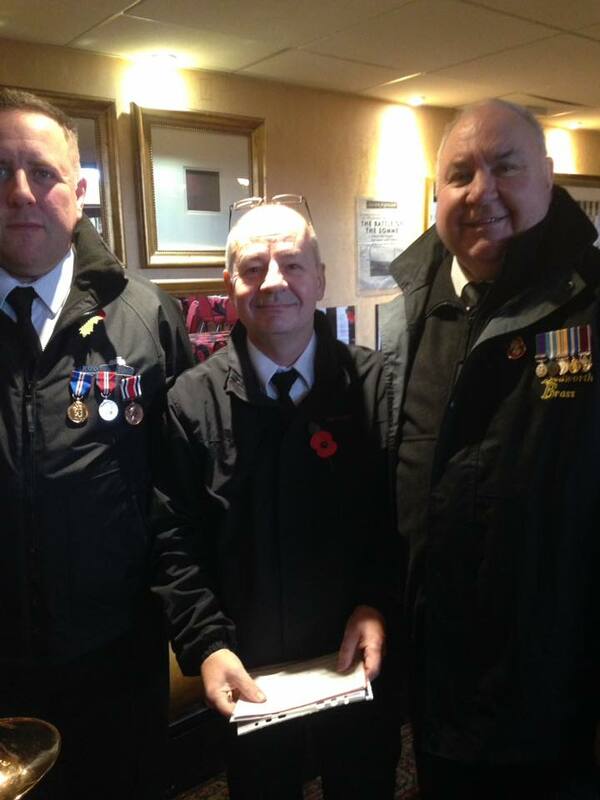 Steve Lilly makes a presentation to his father Dave on his retirement, after many years service as Band Chairman. 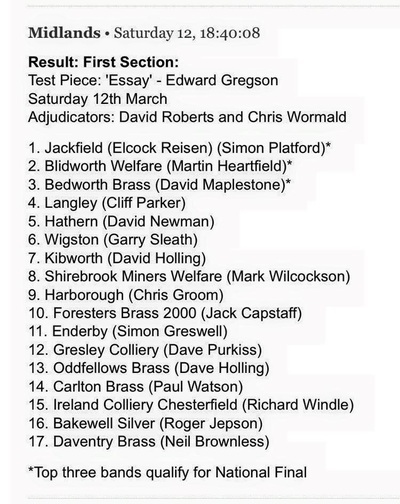 On 18th September, we travelled to Cheltenham to take part in the National Finals. 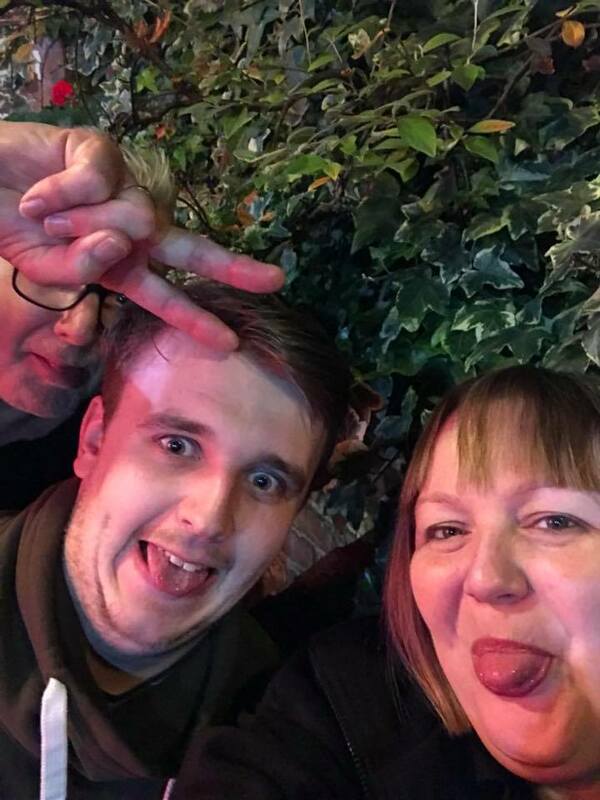 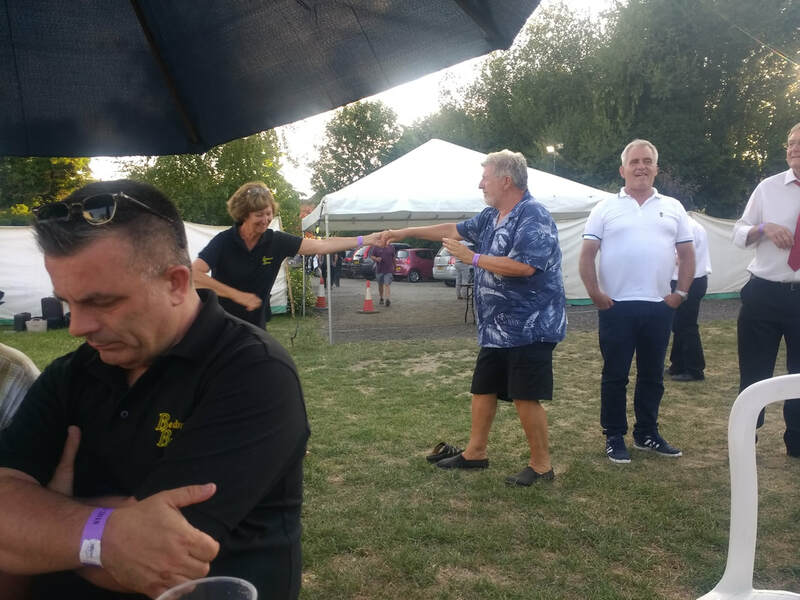 As you can see, it was a tiring experience, as we were drawn last, but we ended up in a pub, so not all bad......Oh, and we came 7th.